The Picture is of Chief of Chib Tribe His Highness Raja Muhammad Akbar Khan(Late) of Princely State of Bhimbar. He was the great-great grandson of HH Raja Sultan Khan the second last ruler of Bhimbar. In 1810 the first attempt by Maharaja Ranjit Singh was made to subdue the States of the Chiban, as a necessary preliminary, and a force was sent against Bhimbar. At that time the ruler was Raja Sultan Khan(Wali-e-Bhimbar), a brave and resolute man, who made a determined resistance, but had finally to submit and pay Bs. 40,000 in tribute. A large portion of the territory was at the same time made over to a relative, named Ismail Khan, probably with the idea! of weakening the State. For two years Sultan Khan was left in peace, but in 1812 a conflict took place between him and Ismail Khan, in which the latter was killed. On hearing of this Ranjit-Singh at once dispatched a 51k force from Lahore, under the nominal command of Prince Kharak Singh. Sultan Khan took up a strong position on a height above the town of Bhimbar, which was practically unassailable, and the Sikhs were defeated and had to retreat. Another force was dispatched in support, but meanwhile negotiations had been opened with Sultan Khan by the Sikh Commander. The terms offered were that the territory should be restored and that the Raja should be treated with honour. On these terms he was persuaded to accompany the Sikhs to Lahore, and on his arrival Ranjit-Singh refused to be bound by the conditions entered into, and committed Sultan Khan to prison in the Lahore Fort, putting him in irons. There he remained for six years. The State was annexed and conferred in jagir on Prince Kharak Singh!In 1819 Ranjit-Singh made his final and successful advance on Kashmir, Ranjit Singh liberated Raja Sultan Khan and furnished him with a large contingent of Dogras for the conquest of Kashmir. But the friendship was not of long duration. The brothers Dian Singh and Gulab Singh were alarmed at the prospect of an extension of Sultan Khan's territories, and determined to be rid of him. He was invited to visit Jammu, and was there assassinated by Gulab Singh’s servants while engaged in prayer on the walls of the newly-built Mandi Palace. The Maharaja- professed great anger at the news of this treacherous murder, and permitted Sultan Khan's son Faiz Talib Khan to succeed to the chief ship, then worth nearly nine lakhs of rupees per annum. But he was dispossessed by Raja Gulab Singh on the death of Ranjit Singh, though subsequently reinstated in a portion at the instance of Maharaja Sher Singh. After the giving over of Jammu and Kashmir to Maharaja Gulab Singh, it became necessary to take measures for the protection and maintenance of the minor hill chiefs, who, much against their will had been included in the “properties” forming part of the contract. The matter was arranged in 1847 by Sir Henry Lawrence, Agent and Resident at Lahore, on the one part, and by Diwan Jwala Sahai, the Maharaja’s Minister, on the other. It was agreed that such of the chiefs as elected to settle in British territory should receive perpetual pensions, amounting in the aggregate to Rs., 42,800 annually; the Maharaja ceding to, the British Government the ilaka of Sujanpur, part of Pathankot, and certain lands between the Beas and Chaki rivers north of Gurdaspur in satisfaction of the demands, which were to be met from the British treasuries. The Raja Faiz Talib Khan (Son of Raja Sultan Khan), styled (Bhimbarwala ) by Sir Henry Lawrence, was allowed hereunder a cash pension of Rs. 10,000 per annum, the same being declared perpetual in his family, to be enjoyed undivided by one individual at a time. This arrangement did not of course please Faiz Talib, who thus found himself invested with a small pension in lieu his patrimony. But he was obliged to accept what had been fixed for him by Sir Henry Lawrence, as there was no hope of getting better terms from the Maharaja. He took up his abode at Shahdara near Lahore; and be it recorded to his credit that he and his relatives have ever since proved themselves thoroughly loyal to the new Power. His son Fazldad Khan was appointed a Risaldar-Major on the Frontier, but became insane after a few years service, and died without recovering his health. Shortly before his death, in 1870, Faiz Talib Khan took up his abode at Sayadpur in the Jhelum district for the sake of sport, to which he was devoted. The perpetual family pension passed to his grandson, Raja Ali Bahadur Khan, who was a Provincial Darbari and served as Extra Assistant Commissioner in the Rawalpindi Division. His son, Raja Muhammad Akbar Khan, was a Naib-tahsilar, but was compelled to resign on account of the precarious state of his father's health. He is now a Member of the Jhelum Municipality and since his father’s death in 1908 has succeeded to the family pension and seat in Provincial Darbari, and to the hereditary title of Raja(*Raja Muhammad Akbar Khan was the Last Raja of the Line who was getting the royality/pension. The pension stopped after partition). 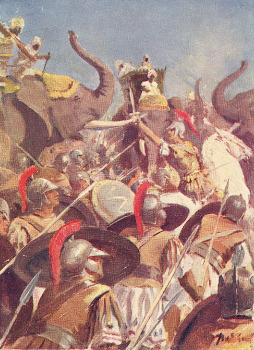 The battle of Hydaspes River was a battle fought by Alexander the Great 326 BC against the Indian king Porus on the Hydaspes River (now the jhelum) in punjab.That area was included in the the kingdom of king Porus and it's capital was Nagar-Kot (Now kangra-Hamchal pardesh India). The battle was the last major war fought by Alexander.The original name of Raja Porus was Raja Parmanand Chand Katoch and was the 280th king of the royal line of Katoch dynasty.He was titled PORUS by the King of Persia. In persian language the word PORUS means BRAVE.As mentioned in the history below the Chibs are the decendents of 455th king of Katoch dynasty. The Official web site of Royal House of Kangra from which the Chib Rajputs originate. 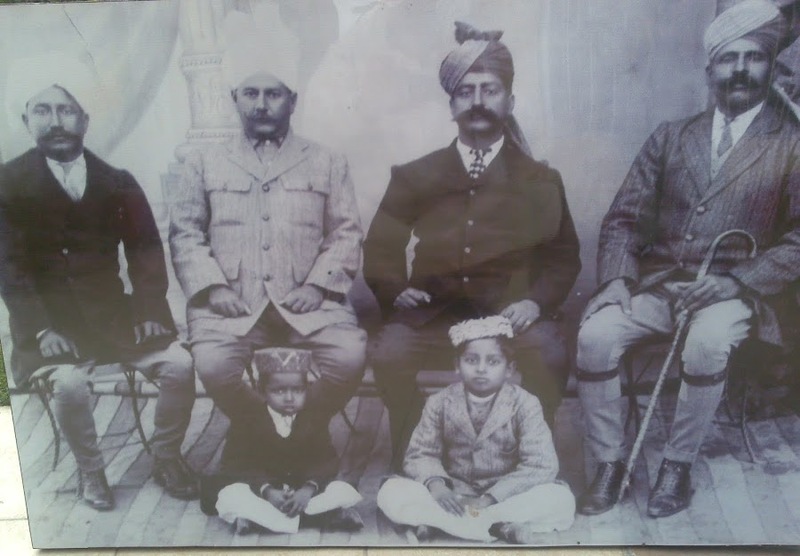 Sitting L-R, Raja Sir Sher Muhammad Khan, Khan Bahadur Raja Afzal Khan of Kasguma, HH Raja Muhammad Akbar Khan of Princely State of Bhimbar and Raja Muhammad Khan of Choa. This is resting place for a 16 century ruler Shadab Khan, descendant of a famous Hindu called Chib Chand who laid the foundation of the Chib dynasty in Bhimber minor state. Shadab Khan was born around the end of the 15th century. His real name was Shadab Chand. He grew up as a Hindu prince, but during the growing influence of Islam in the Sub continent, he converted to Islam and changed his name to Shadab Khan. He became ruler of Bhimber state after the death of his father Gorpal Chand also known as Goja Chand. As a ruler he showed his true potential and soon became very popular amongst his subjects. His rule was based upon justice, equality and public welfare. For these precise reasons the oppressed people from other states also regarded him as a symbol of hope and migrated into his kingdom in search of peace and harmony. There are a number of stories surrounding his death. One widely believed version is that he was killed by his Father in law while returning to his capital Bhimber after abandoning his fourth wife in Delhi. Majority of the devotees paying visits to his shrine know him as a great saint. Little do they know that it was due to his ruling qualities he became a legend in history. Chib Rajput's of today consider themselves to be the direct descendant of Shadab Khan (Baba shadi shaheed). Therefore they take their newly born sons to his shrine to pay homage and perform certain rituals. Over the years this long running tradition has become popular among ordinary people too. Every year thousands of visitors from all over Punjab and Azad Kashmir come here to show their respect in variety of ways. Baba Shadi Shaheed shrine is managed by the department of Auqaf Azad Jammu and Kashmir generating a huge amount of revenue for its government. It is disappointing to learn that only a fraction of that amount is invested back into the shrine to improve the conditions of the facilities. I had conducted the detailed research of the origin, history and genealogy of Chib Rajputs (The tribe to which I belong to) in the year 2006. I had consulted different books and internet, visited different museums and my parent village in order to complete the project. By the Grace of God the research has been almost completed and will be updated off and on in the future. Special thanks to Col® Raja Parvez Masood Akhtar of Thuta Rai Bahadur-Gujrat and Capt®Raja Asgher Khan S/O Raja Muhammad Akbar Khan of Jhelum (Raja of Bhimbar) for helping me in order to complete this project. In this research I have compiled all the available data regarding the subject from different books, records and internet. I am dedicating this research to my dearest mother and dearest wife. Following data collected from the book “The History of the Poonch Tribes - Muhammad Din Fawk (1934)”. The ancestry of the Chib can be found in the Kangra region of India. The last Thakial Raja of the State of Bhimber was Siripat. It was at this time that Partab Chand, a prince of Kangra started his journey from Kangra to Bhimber. When he reached the hill tops near Bhimber, Partab Chand observed that it was very difficult to capture the state. He set a camp there and named this hilltop as Kangra and the village still exists by the same name even today. Partab Chand stayed for a long time with his troops on the hilltop waiting for a suitable opportunity to attack and capture the state but this did not arise as he had run short of supplies for his men. Partab Chand sent his soldiers in disguise with his own jewellery to go down to the markets of Bhimber to get the much needed supplies. His men went to a Jeweler who was astonished when he saw the royal jewels. The Raja of Bhimber, Siripat Thakial learned about the men with the royal Jewels and found out about the deployment of the Kangra troops on hill top. He sent his ambassador to Partab Chand which resulted a friendly meeting between the Partab Chand and the Maharaja of Bhimber. Maharaja Siripat Thakial had no sons but had a daughter. 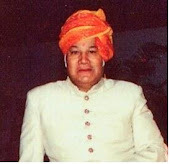 He married the princess with the oldest son of Partab Chand, the Raj Kumar Chib Chand. On the death of Maharaja Siripat, the Raj Kumar Chib Chand became the Maharaja of Bhimber. Raja Dharam Chand was the seventh Raja of the Chib Chand line. At present on dated 27 March of every year Hindu chibs of Jammu and Kashmir region celebrate the birth of Maharaja Dharam Chand at the placed called Nud ka Khu appx. 35-40 kilometer from Jammu toward Akhnoor. At that place a temple in name of maharaja Dharam Chand and Rani is setup (on occasion of the day is called mael )and He converted to Islam and was named as Raja Shadab Khan of Bhimber. He was killed by Ibrahim Lodhi and his tomb still exists on the hills of Bhimber by the name of Hazrat Baba Shadi Shaheed (Rehmat-Ulla-Alae). Therefore the current Chib clan can claim its ancestry from the union of Thakial Princess (Rani) and Raj Kumar Chib Chand. After the advent of Islam into the Punjab a section of Chibs were converted to Islam . State of Bhimber was divided between the sons of Rajah and there laying the foundation of two separate states Bhimber and Khari Khalyari, Maharajah Ranjit Singh's Armies defeated the Rajah of Bhimber after a long siege however they failed against the armies of Raja Umar Khan at Mangla, after hard fighting it was decided by the Maharajah's General to offer a truce to Rajah and join hands. On the eve of pact Raja Umar Khan died and Maharajah's armies annexed the state after the agreement that Rajah's sons will hold the titles of Grand Jagirdars instead of Princes of state and be Maharajah's representatives. Chib Rajputs of Lehri and Khoiratta were the major Jagirdars and most influentials in the royal courts of Maharajahs, after partition Rajah Allahdad Khan Jagirdar of Lehri was threatened by the mob of peasants who looted the family houses when Rajah Allahdad Khan and his family took refuge with the Royal Gujar family in Chalianwala, Gujrat for six months. The following abstracts are from the book “The Punjab Chiefs”Vol II Revised edition By SIR LEPEL H. GRIFFIN, K. C. S. I.,And of “CHIEFS AND FAMILIES OF NOTE IN THE PUNJAB,” By COLONEL CHARLES FRANCIS MASSY, INDIAN STAFF CORPS. Revised and corrected the orders of the Punjab Government. By W,L. Conran, Major, Indian Army,And H.D. Craik, Indian Civil Service. The Chib are an ancient Rajput tribe scattered through the low range of hills between the rivers Beas and Jhelum. In the Gujrat district, where they are most numerous, they occupy fifty-one villages, and here they are mostly Muhammuadans, while those of Kangra and Jammu retain the old Hindu faith. The Chibs are not descended from one of the royal Rajput houses; * but they hold the second place, and rank with Salaria, Harchandra and other honorable tribes. They themselves assort that they have some share of royal blood, and that one of their ancestors, Hamir Chand, mar¬ried the daughter of the Katoch Raja of Kangra, and succeeded to the throne on the death of his father- in-law, His descendants ruling in Kangra for eight generations, until the time of Chib Chand and Udai Chand. But this story is probably false. No Mian belonging to a royal clan would give his daughter in marriage to an inferior in rank; nor in the long roll of four hundred and seventy-five Katoch Kings are the ancestors of the Chibs to be found. The name of Hamir Chand, indeed, occurs twice; but the names preceding and succeeding are not those of Chib history. But a ge¬nealogy that extends over a period of fourteen thousand years may possibly be somewhat inaccurate. Chib Chand, the founder of the tribe, quarreled with his brother Udai Chand and, leaving Kangra about the year 1400, settled near Bhimbar, at the village of Malura or Muchalpura, where he married the daughter of Raja Sripat, the local ruler. Not content with the possession of the daughter, he coveted the chief ship, and, inviting his father-in-law with his whole family to a feast, he murdered them all and became himself Raja. For several generations his descendants ruled in the neighborhood of Bhimbar, till Shadi, in the reign of the Emperor Babar, went to pay his respects at Court, and "received an Imperial confirmation of his posses¬sions in return for his renouncing Hinduism and adopting the Mohammedan faith, taking title name of Shadab Khan. This chief accompanied Humayun on more than one of his expeditions, and was at length killed by one Pir Haibat, a native of Kandahar, with whom he had a quarrel. Apostasy is not always considered respectable; but the Chibs have made Shadab Khan a saint, and his tomb, near Bhimbar, is a sacred place of pilgrimage, to which both Hindu and Mohammedan members of the tribe resort. The saint is generally known as Sur Shadi Shahid, and there is a custom in the tribe of leaving one lock of hair on the head of every infant until such time as the parents can visit the shrine, when it is cutoff with much ceremony, and the child is then, and not till then, considered a true Chib. This ceremony is as essential as the panhal among the Sikhs or circumcision among Mohammedans. The (Chib chiefs held the district of Khari Kariali. stretching along the Jhelum, below the fort of Mangla and Nowshera till the Sikhs rose to power. Then Sardar Gujjar Singh Bhangi, having captured (Gujrat from the Ghakkars, turned his arms against them, but was not able to strike much impression upon them as their country was very difficult for an attacking force. Sahib Singh, son of Gujar Singh, and Mahan Singh Sukarchakia later attacked Mangla with¬out success, and its reduction was left for the great Maharaja himself. In 1810, after Ranjit Singh laid seized Gujrat from Sahib Singh, to marched northward and reduced the fort of Chunian, held by Raja Umer Khan who retired to his still stronger fort of Mangla, The Sikh Army then marched against mangla., when Raja Umer Khan, thinking resistance useless sent his son Akbar Ali Khan to sue for peace. Before an answer could .be received the chief died, and Ranjit Singh, not wishing to drive Akbar Ali Khan to extremities, left him half of his father’s possessions, which he only lived six months to enjoy. All was then confiscated; but to Amir Khan, the second son, a pension of Rs. 4,000 was assigned, and to his cousin Sher Jang Khan a pension of Rs. 3,000. Some years later Amir Khan died, and the pension was continued to his younger brother Fazldad Khan. Prince Kharak Singh, to whom Khari karaili was given in jagir, took Fazaldad Khan into his service on Rs. 3 a day, m\ ten years later four sowars were also allowed him on Rs. 1,075. When Kashmir and Jammu were made over in independent possession to Maharaja Gulab Singh, the jagir of Rs. 4,000 was included in that territory, and the cash allowance of Rs. 1,075 was exchanged for a jagir of the same amount at Dal Kalu and Sithal. The Raja accompanied Sher Singh to Multan in 1848, but did not join in his rebellion, and his jaw was continued to him. It was resumed after his death in 1864 and 1m sons, Nazar Alt Khan and Fateh Khan, were given a pension of Rs. 540. One of the leading men among the Chibs was Raja Sultan Khan, of Pothi, son of Sher Jang Khan. A jagir in the villages of Pothi, Dak , Bhalwal and and Phularwahu in the Gujrat distict, valued at Rs. 1,692 per annum, was passed to him at annexation. He did good service in the Mutiny, receiving a cash reward of Rs. 500. 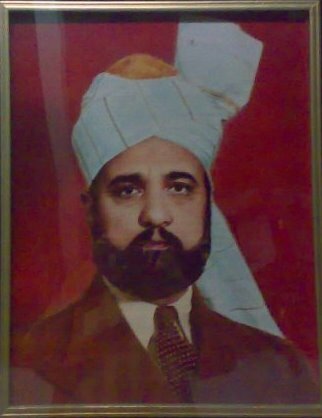 He died in 1902 and succeeded by his son Raja Muhammad Khan, who is now the head of this branch of the family(1). He inherited the whole of his fathers jagir, now valued at Rs. 3,000 per annum, but out of this he has to pay main allowances of Rs. 450 to his brother Ata Muhammad Khan, Rs. 225 to his nephew Rahimdad Khan, Rs. 125 to his brother Akbar Khan, and [k. 200 to other dependants. Raja Muhammad Khan also owns One thousand two hundred highs of land. He is a Provincial Darbari. His brother, Ata Muhammad Khan is a Sub-Registrar and Honorary Magistrate at Shallot, and his nephew Divan Ata Khan, is in the army. Mention must also be made of the descendants of Bandu Khan, who was for many years a Kardar under the Sikhs. On the death of his father Chaudhri Ghulam Ali Khan succeeded to the office and improved His magistrate and admirable management. Four villages, Sang, Bess, Chang, were released in his favor. In 1849 he showed himself loyal to Government, and his jagir and the privileges were resumed; but redeemed his character for loyalty in 1857, and received a pension of Rs. 300 for life. His second son, Mardan Ali Khan, at this time entered the old 2nd Sikh Cavalry and rose to be Risaldar-Major in the same regiment, now the 12th Cavalry. He furnished thirty sowars for service in the Mutiny, and was with in regiment in many battles in the eventful years of 1857 and 1858. He also took part in the Abyssinian expedition of 1868 and in the Afghan War of 1879-80. He received the order of British India, and the title of Sardar bahadur. The many officers under whom he served held him in the highest esteem. He succeeded to a share in his father’s jagir in the Kharian Tehsil of Gujrat, and enjoyed also zaildari dues amounting to Rs. 200 per annum. He was given a grant of nine squares in the Chenab Canal Colony. Mardan Ali Khan died in 1898, and his property was divided among his six sons. Of these, Muhammad Khan is a lambardar in the .Chenab Colony; Mumtaz Ali Khan is zaildar of Besa, lambardar of Marar village,a member of the District Board and a grantee of six squares on the Chenab Colony; Sarafraz Ali Khan is a Risaldar in the army, and his son Ashik Ali Khan is a Jamadar; Safdar Ali Khan retired from the army as a Dafadar. Muhammad Hassan Khan, the eldest son of Mumtaz Ali Khan, is a grantee and lambardar on the Upper Jhelum Canal. Sultan Alam Khan, the elder brother of Mardan Ali Khan, was a darbari. He died in 1893, leaving four sons, the eldest of whom, Azim-Ullah Khan, may be regarded as head of the Besa branch of the family. He is a retired Dafadar of the 12th Cavalry, and enjoys a pension of Rs. 100 per annum, a part of the Mutiny pension granted to his grandfather, Ghulam Ali Khan. Ghulam Hussain Khan, the third son of Sultan Alam Khan, has for many years been House Surgeon at the Punjab Veterinary College in Lahore, and has done excellent ser¬vice in this capacity. He is now a senior professor in the College. He saw service in the Afghan War of 1879-80, and holds the medal. His younger brother, Pehlwan Khan, is a Risaldar in the l2th Cavalry. Other members of the family who have seen military services are Pir Muhammad Khan, one of the younger sons of Chaudhri Ghulam Ali Khan, who was a Subadar of the 25th Punjabis; and Niaz Ali Khan, a grandson of Ghulam Ali Khan, who is a Jamadar in the 101st Grena-diers and has served in South Africa and Somaliland. The Hindu Chibs have given far more trouble in Gujrat than their Muhammadan kinsmen. During the whole reign of Maharaja Ranjit Bingh they were notorious tor audacity and lawlessness. Inhabiting Dewa, Botala and other hill villages, a few miles beyond the Jammu frontier, they would descend upon the plains, burning and plundering, and even the larger towns were not safe from attack. Twice the Maha¬raja burnt their village ; but this had only a temporary effect, and they remained for many a long day as evil-minded as in old Sikh times. Twice since the annexation of the Punjab have they made raids upon British territory: in June 1849, when they attacked the village of Asar and in August 1858, when they sacked Dokhoa, on which occasion Maharaja Gulab Singh, on the strong representation of the British Go-vernment, sent a force against Dewa and burnt it to the ground, for¬bidding its reconstruction on the same site. Since then, fear of punishment has kept these marauders quiet; but they still have as great a love for a raid across the border as when in the old days they could plunder without opposition up to the very walls of Gujrat. The early history of the Chib Rajput tribe, to which Raja Muhammad Akbar Khan belongs, is given in another chapter. His ancestor, Raja Shadi Khan Khan, was a contemporary and feudatory of the Emperors Babar, Humayun and Akbar; and he ruled over the districts of Bhimbar and Nowshera, within the present limits of Jammu and Kashmir. In consideration of services rendered to the Emperor Akbar in Kandahar, he was made Governor of Kashmir with the title of Shadab Khan. Raja Sultan Khan allied himself with Maharaja Ranjit Singh, and furnished him with a large contingent of Dogras for the conquest of Kashmir. But the friendship was not of long duration. The brothers Dian Singh and Gulab Singh were alarmed at the prospect of an extension of Sultan Khan's territories, and determined to be rid of him. He was invited to visit Jammu, and was there assassinated by Gulab Singh’s servants while engaged in prayer on the walls of the newly-built Mandi Palace. The Maharaja- professed great anger at the news of this treacherous murder, and permitted Sultan Khan's son Faiz Talib Khan, TO succeed to the chief ship, then worth nearly nine lakhs of rupees per annum. ( Note: (2)The book was printed in the year 1909.Later on after the death of Raja Muhammad Akbar Khan , the hereditary title & jagir transferred to his eldest son Raja Afzal Khan. After the death of Raja Afzal , now the jagir has been looked after by his son Brig.Raja Saleem. Furthermore I would like to add that the Capt ® Raja Asgher Khan the youngest son of Raja Muhammad Akbar Khan and the paternal uncle of Brig.Raja Saleem is my grand uncle i.e he married to the daughter of my maternal great grandfather City Inspector Police Raja Adalat Khan). Ghulam Kadir Khan, grand-uncle of the present Raja, distinguished himself as a gallant soldier. His service began in 1819 as an orderly under Edwards at Multan. He took his pension in 1882, after having served many years as Risaldar in the 4th Punjab cavalry sharing in most of the Frontier expeditions that took place in his day. He received a military pension of Rs. 600 per annum, and was granted eight hundred bighas of rakh land in the Shahpur district. He died in 1905 and his property was divided equally between his three sons. Sado Khan, the ancestor of the Sadozai tribe of Afghans, the Nawabs of Multan and Ahmad Shah Abdali, was a resident of Kandahar, where he was born in 1558. He succeeded his father as chief of the Habibzai tribe; but was a man of such bravery and ability that he was selected by the Abdali tribes, living between Kandahar and Herat, to be their leader. This was in 1598.Shadi Khan, the Governor of the Emperor Akbar at Kandahar(3), was hostile to Sado Khan, so he went over to the interests of Shah Abbas, King of Persia, who had lost Kandahar in 1594 and was intriguing for its recovery. This he effected in 1621, after Akbar's death, with the assistance of the Abdalis. Sado Khan died in 1626, leaving five sons, from whom lave descended several well-known Afghan tribes. The descendants of Sado Khan are known as Sadozai;^ and one branch of the family, to which Ahmad Shah,+ Timur Sliah, Zaman Shah and Shah Shuja belonged, rplfiicd for many years in Kabul. Khizar Khan, eldest son of Sado Khan, who succeeded his father in chiefship, was of a mild disposition, unsuited to rule over a wild afghan tribe. His authority was set at defiance; and at length seeing that he could not compel obedience to his order, he made over the uneasy honour of chief ship to his brother Mahdud Khan, who was of a determined character and held the Abdalis in terror. Khizar Khan tin 1626, and Mahdud Khan held-rule for seventeen years after death. He resided at Saia, some fifty miles north-east of Kandahar where Ali Mardan Khan was Governor; and with this able and enlightened man Mahdud Khan always maintained friendship. In 1637 Mardan Khan, who was no favourite of his master the Shah of Persia, gave up Kandahar to Muhammad Said Khan, the Governor of Kabul, for the Emperor Shah Jahan, and retired to Delhi, whore he was received with great favour. Mahdud Khan was assassinated in a domestic brawl six years later. His son Shah Hussain Khan succeeded him, but was opposed by Khudadad Khan, who claimed the chief ship in right of his father Khizar Khan. A battle was fought between the cousins near Safa, in which Hussain Khan was defeated; but be fled to Kandahar and being aided by its Governor Khas Khan, again took a fled with a considerable force. (Note: (3) Shadi Khan the Governor of Kandahar was Raja Shadi/Shadab Khan (Baba Shadi Shaheed) of Bhimbar. The Chib States of Bhimber and Khari-Khariyali were situated in the outer hills between the CHENAB and the Jhelum, south of Rajauri and Punch. The original name of this whole area, in ancient times, was Darvabhisara from the names of the two principal tribes by which it was inhabited. This name is found in the Rajataraflgifli, and it is probable that it dated from a time anterior to the invasion of Alexander the Great. The name continued in use till after the twelfth century and possibly till a much later date. It became changed to Chibhan after the occupation of the tract by the Chib tribe, and the founding of the two States bearing this name, in the southern section of the area. According to the Tawarikh-i-Rájgafl, Zilla Kangra, by Mian Raghunath-Singh and the Tawarikh-i-Rajputafl, by Thakur Kabn-Singh, Balauria, the Chib States were founded by a cadet of the Katoch royal line of Kangra, about A.D. 1400. Raja Megh-Chand of Kangra, c. A.D. 1390, had three sons, named Hari-Chand, Karm-Chand and Partap-Chand. A.s already related, Hari-Chand succeeded his father, but fell into a well while out hunting, and after a long search was regarded as dead. His brother, Karm-Chand, was installed in Kangra, and on his recovery he founded Guler State. Partap-Chand, the third son, set out with a force, as was often done in those unsettled times, to carve out a kingdom for himself. He first settled at a village called Malura on the plains near Bhimbar, and having married the daughter of the local ruler, ultimately succeeded to the State and made Bhimbar his capital. He had two sons, Chib-Chand and Kharakh-Chand, of whom the elder became Raja of Bhimber and the younger founded the State of Khari-Khariyali, with its capital at Mangla Fort. The name Chibban is attributed to Chib-Chand from whom the Chib tribe is said to be descended, but this is improbable. The members of the tribe are numerous and are found in many localities in the low hills and along the margin of the plains.Originally Rajput, the ruling family embraced Islam at a later date which is uncertain, but probably not later than the time of Babar, from whom the head of the family, named Shadi, is said to have received a confirmation for his possessions. He took the name of Shadab Khan, and is said to have accompanied Humayun on some of his expeditions, and was finally killed by one, Pir Haibat, of Kandahar, and has ever since been venerated as a saint. His tomb is near Bhimbar, and is a place of pilgrimage to which both Hindus and Muslims resort. The shrine is called Sur Sadi Shahid. At his shrine every Chib child must be presented on attaining a certain age, so that the lock of hair, specially retained for the purpose, may be cut off with much ceremony; without this he cannot become a true Chib. Only one Raja of Bhimbar is mentioned in history, named Howns (probably Hans Chand), who, in A.D. 1486, defeated a force from the Punjab seeking to enter Kashmir by way of Bhimbar. Of the later history of the States we have been unable to obtain any reliable details. Bhimbar is mentioned in the Tuzuk-i-Jahangiri, and must have been visited many times by the Mughal Emperors in going to and returning from Kashmir. It is specially referred to by Bernier who accompanied the train of the Emperor Aurangzeb, in A.D.1665, on the occasion of his visit to the valley. The Serai above the town, about 800 feet square, and now in a ruined condition, was the encamping ground of the Emperors, while their large following remained in the sandy river bed.In later times Bhimbar was a large and powerful State, including Naushahra to the borders of Rajauri, with revenue of nine lakhs of rupees. No mention of the State occurs in any of the later histories of the time, nor in connection with the numerous revolts that were so common in the eastern hills. The rulers being of the same religion as the paramount power remained loyal, and doubtless experienced a large measure of favor not enjoyed by others. This special favor and protection must have continued after 1752 when the paramountcy passed into the hands of the Durrani rulers of Kabul. With the rise of the Sikhs to supreme power this long period of tranquility came to an end. From about 1770-80 inroads from their roving bands, intent on plunder, must have become of frequent occurrence. Finally Maharaja Ranjit-Singh, in 1800, established his supremacy and soon afterwards made all the Hill States tributary. The States in the Chibhan were among the last to come under his control, owing to their proximity to Kashmir which was still under Durrani rule. From the beginning of his rule Ranjit-Singh had his eye on Kashmir, but had to bide his time. In 1810 the first attempt was made to subdue the States of the Chiban, as a necessary preliminary, and a force was sent against Bhimbar. At that time the ruler was Raja Sultan Khan, a brave and resolute man, who made a determined resistance, but had finally to submit and pay Bs. 40,000 in tribute. A large portion of the territory was at the same time made over to a relative, named Ismail Khan, probably with the idea! of weakening the State. For two years Sultan Khan was left in peace, but in 1812 a conflict took place between him and Ismail Khan, in which the latter was killed. On hearing of this Ranjit-Singh at once dispatched a 51kb force from Lahore, under the nominal command of Prince Kharak Singh. Sultan Khan took up a strong position on a height above the town of Bhimbar, which was practically unassailable, and the Sikhs were defeated and had to retreat. Another force was dispatched in support, but meanwhile negotiations had been opened with Sultan Khan by the Sikh Commander. The terms offered were that the territory should be restored and that the Raja should be treated with honour. On these terms he was persuaded to accompany the Sikhs to Lahore, and on his arrival Ranjit-Singh refused to be bound by the conditions entered into, and committed Sultan Khan to prison in the Lahore Fort, putting him in irons. There he remained for six years. The State was annexed and conferred in jagir on Prince Kharak Singh! In 1819 Ranjit-Singh made his final and successful advance on Kashmir, and Sultan Khan was liberated in order that he might accompany the army, and he furnished a large contingent and took a leading part in the conquest of the valley. On the conclusion of the campaign a portion of the State was restored to him, but sometime later he was invited to Jammu and was killed. Mr. Moorcroft passed through Bhimbar in 1822 on his way to Afghanistan, and has left an interesting notice of the State. Sultan Khan was then still alive and resided at a town named Samani. Moorcroft’s account differs somewhat from that already given. He writes :—“ The town of Bhimbar may be considered the head of a small Raj of that name which extends some distance beyond Naushera Seral. Its whole length does not exceed twenty-five kms. It is bordered on the north and north-east by Rajaouri, to the east by the district of Pauni Bharak, to the south by Kotla and Jalalpur, and to the west by the petty chiefship of KhariKhariali. It contains three towns—Bhimbar, Samani and Mangal Devi. The ruler, Sultan Khan, was a faithful adherent of the Afghans, and when Ranjit first attempted the invasion of Kashmir he met with a spirited resistance from the Bhimbar Chief before his superior strength effected the subjection of the district and the capture of ~ ruler. After a short interval Ranjit set Sultan Khan at liberty and restored to him the town of Samani; but he was again induced to join the Afghans and again became the prisoner of the Sikhs. Ranjit-Singh after detaining him. Some time at Lahore, gave his prisoner liberty and replaced him in possession of a moiety of his domains. He lives near Samani and enjoys a revenue of sixty thousand rupees.” Some time after 1822, Sultan Khan was invited to Jammu and was killed. By permission of Ranjit-Singh his nephew, Faiz Talab Khan(4), succeeded to the chiefship, but was dispossessed of most of the territory in 1840, and retired from the hills in 1847, on the cession of the hill tracts to Maharaja Gulab Singh by the treaty of 16th March 1846. The family residence is at Jehlum, on a pension of Rs. 10,000. 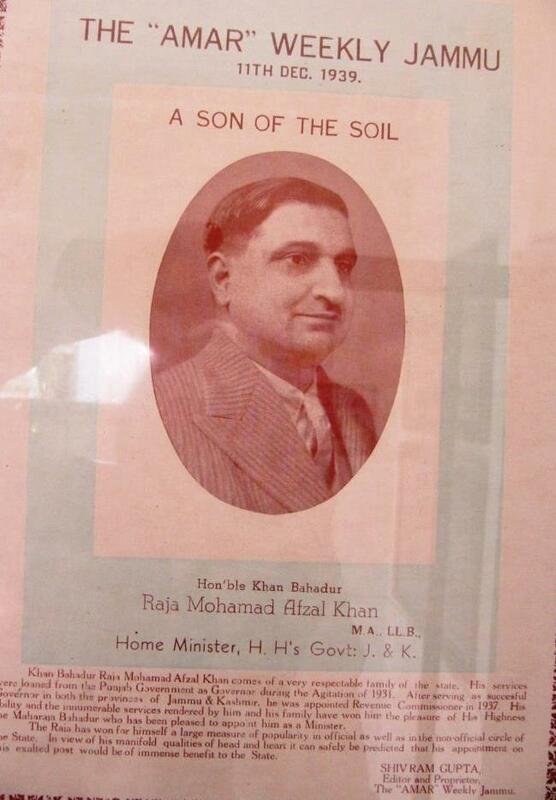 ( Note: (4)Raja Muhammad Akbar Khan (Late) of Jhelum was the great grandson of Raja Faiz Talib Khan. According to Genealogy mentioned in “Punjab Chiefs” Faiz Talib Khan was son of Raja Sultan Khan. Very little is known about Khari-Khariyali. It is said that the Sikh Sardars, Sahib-Singh of Gujrat and Mahan Singh, Sukarchakia, invaded the territory and attacked Mangla Fort, but without success. After Ranjit-Singh acquired Gujrat he marched into the hills and reduced the fort of Chunian, held by Raja Umar Khan, who then retired to the strong fort of Mangla. Finally Raja Umar Khan, thinking resistance useless against a superior power, sued for peace through his son, Akbar Ali Khan.Before a settlement could be made the Chief died, and Ranjit-Singh then granted half of the State to Akbar Ali Khan. On his death all was confiscated, but a pension of Be. 4,000 was assigned to Amir Khan, second son of Umar Khan, and Rs. 8,000 to his cousin, Sher Jang Khan. On Amir Khan’s death the pension was continued to his son, Fazl-Dad-Khan, who had the title of Raja. When the hill tracts were made over to Maharaja GulabSingh the jagir of Rs. 4,000 was included in that territory. A cash allowance of Re. 1,075 had also been granted to Fazl-Dad-Khan by Ranjit-Singh, and this was exchanged for a jagir of the same value in Dal-Kalu and Sithal; but was resumed by Government on his death in 1864, and a pension of Rs. 540 was granted to his sons,Nazar-Ali-Khan and Fath-Khan. Members of the family reside in Mirpur District(5) in Jammu, and many members of both families are in the army and in Government service. History of the Panjab Tribes by J. Hutchinson and J.P.Vogel lists a total of 22 states (16 Hindu and 6 Muslim) that formed the State of Jammu following the conquest of Kashmir by Maharaja Ranjit Singh in 1820. Of these 6 Muslim states, two (Kotli and Punch) were ruled by Mangrals, two (Bhimber and Khari-Khariyali) were ruled by Chibs, one (Rajouri) was ruled by the Jarrals and one (Khashtwar) was ruled by the Khashtwaria. Of these 22 states, 21 formed a pact with Ranjit Singh and formed the State of Jammu. Only Poonch ruled by the Mangrals retained a state of semi-autonomy. Following the War of 1947 Poonch was divided and is now split between Pakistan Administered Kashmir Poonch District (AJK) and Indian Administered Kashmir Poonch. "Kotli was founded about the fifteenth century by a branch of the royal family of Kashmir. Kotli and Punch remained independent until subdued by Ranjit Singh in 1815 and 1819 respectively." The Chibh claim to be descended from the Katoch Rajputs of Kangra, at least on the female side." If so, their position must once have been much higher than it now is ; but the history is probably untrue. I have suggested under the head Dhund that the Chibh may perhaps be Punwar/Paramara. Their ancestor Chib Chand is said to have left Kangra some 1,400 years ago, and have settled at Bhimbar in the Jammu hills. The first Chibh to become a Musalman was one Sur Sadi of the time of Aurangzeb. He died a violent death and is still venerated as a martyr, and the Mohammedan Chibh offer the scalp locks of their male children at his tomb, till which ceremony the child is not considered a true Chibh, nor is the mother allowed to eat meat. Sur Sadi's (or Shadi Khan's) Hindu name was Dharam Chand. He was famed for his skill in medicine and was summoned to Delhi to attend the Emperor Jahangir. He was successful in effecting a cure and received a daughter of the Emperor in marriage, became a Muslim and changed his name to Shadi Khan. He deserted his bride and fled home, and was eventually killed in an invasion of his country by the Moghals. Within the Panjab the Chibh are found almost entirely in the northern portion of Gujrat under the Jammu hills. The hills above this territory are their proper home, and are attached to the State of Kashmir. The tribe has also given its name to the Chibhal, or hill country of Kashmir on the left bank of the neelam along the Hazara border, though I believe that they do not now occupy those hills. The Chibh is a tribe of good position ; they, like the Janjua, enjoy the title of Raja ; Saiyads and Gakkars do not hesitate to marry their daughters and till the Sikh rule they did not cultivate themselves. Now-a-days, however, they follow the plough and are farmers. The history of the Chibh chiefs is related at page 583 of the Panjab Chiefs. The Chibh are identified by some with the Sibae of the ancients. The Muslim Chibs helped the English during the mutiny against British rule in the Jhelum Cantonment which had rebelled. When the mutineers were half way across the Jhelum river on an island, the Chibs and the British gave them battle and defeated the mutineers. The Chibs for their service to the British received the honorary title of 'Raja' and the area nearing Jhelum river crossing was given as jageer for their loyal service. Following data Collected from the book “ Ranjit Síngh and the Sikh barrier between our growing empire and Central Asia” ;By sir LEPEL GRIFFIN, K.C.S.I. The Chibs, an ancient Rajput tribe, scattered through the low hills bordering the Kangra, Jammu, and Gujrat districts, had, in great part, become Muhammadan, although, in Kangra, they retained their original faith. They had been often attacked by the Bhangi Sirdars and also by Sirdar Mahan Singh Sukarchakia, but their country was difficult and their reduction was left to the Maharaja himself. After taking Gujrat from Sirdar Sahib Singh, in 1810, Ranjit Singh marched against Chunian and Mangla, the two strong forts of Raja Umar Khan, the Chib chief, who was compelled to submit, and on his death, a few months later, the whole of his possessions were confiscated. There is a concentration of Chib villages in Bhimber District in Pakistani Kashmir, in Kotli, Azad Kashmir, Khoi Ratta, Segyum and Supplah. They claim descent from Raja Shadab Khan also known as Hazrat Sheikh Baba Shadi Shaheed (Rehmat-Ulla-Alae). There are also several Chib villages in Gujrat District and the Pabbi Hill region of Jhelum District. In India, the Chibs are concentrated in the Jammu region of Indian administered Jammu and Kashmir, especially Jammu District. Though Rajputs are warriors this type of Rajput are more focused towards Sufism. Prakash Singh Chib was the first Indian soldier with Victoria Cross given by the British army During World War I. @ Seer = 850 grams. After the astonishing victory at Attock, Maharaja Ranjit Singh gained more confidence and thought of annexing other strategic areas to his empire. Kashmir came to his attention first. Kashmir had great importance because of its strategic trade routes. It was a compact area rich in forests and natural beauty. The valley grew saffron and fruit in abundance. Walnuts, apples, peaches, apricots and cherries were among the superior varieties of fruits grown in Kashmir. It had several health resorts and beauty spots. Trade and commerce flourished between Kashmir and Tibet. Kashmir imported from Tibet annually 60,000 seers@ of raw wool and woven woolen cloth, tea, gold and silver ingots and dry fruit. The exports included grain, cotton cloth, iron and spices. Kashmir’s capital, Srinagar, with a population of 80,000 was a flourishing town. Its shawls and carpets were known the world over. Finer quality shawls fetched hefty profits. Leather goods, woolen products and woolen cloth were the other items produced in the valley. In 1814, Maharaja Ranjit Singh prepared for annexation of Kashmir. On June 6, 1814, the Maharaja himself reached Bhimber. Two divisions of the Khalsa army marched towards Kashmir; the main body commanded by the Maharaja himself advanced through the Poonch route, towards the Toshu Maidan Pass while another under Ram Dayal and Sardar Dal Singh passed through Baramulla towards Supin in the heart of the valley. However, the expedition could not succeed as the rains had set in. Pir Panjal was still snow-clad. This inclement weather had an adverse effect on the Sikh army. When the rains ceased the Maharaja’s division reached Poonch, the supplies were replenished and the force marched towards Mandi. On July 18, they reached Toshu Maidan. Here, Ata Mohammad Khan, the Governor of Kashmir, was ready to face the Sikh army. At the same time, the news was received that the Sikh forces had ascended Pir Panjal Pass, occupied Haripur, and were advancing towards Supin. The Sikhs attacked the well-defended town but did not succeed in breaching its defences. Meanwhile, Azim Khan’s cavalry reached there. A fierce battle was fought but due to heavy rains, the Sikhs suffered heavy losses. The worsted army returned to Pir Panjal. Azim Khan attacked the Sikhs at Toshu Maidan. No defence could be offered and the Sikh soldiers retreated to Mandi. The Afghans pursued the Sikhs and Ranjit Singh ordered reorganization of the army. The roads were under deep water. Many Sikh soldiers were slain. Much of the war material was lost. The Maharaja could not sit idle. He still nourished the ambition of conquering Kashmir at the earliest possible opportunity. So he strengthened his forces, re-equipped them and gave them proper training to fight in the hills. However, it took him five years to give shape to his plans. Unless Maharaja’s ambition was fulfilled he could not relax and this opportunity came five years later in 1819. Early in the year, Bir Dhar, a minister under Jabbar Khan, the Afghan governor of Kashmir betrayed Jabbar Khan and sought asylum with the Maharaja. Bir Dhar informed Ranjit Singh that Mohammad Azim Khan had gone to Kabul with his forces and the Kashmir valley was without any defence. The remnants of Jabbar Khan’s forces were incapable of protecting Kashmir and the Maharaja had a good opportunity to annex the valley to his territory. Ranjit Singh, the shrewd general that he was, ordered his commanders to make preparations to attack Kashmir on a massive scale. Arms and ammunition were collected at Gujrat and Wazirabad and nothing was left to chance. On April 20, 1819, the Maharaja marched from Lahore at the head of a 30,000 strong force. Sardar Hari Singh Nalwa was commanding a division. The forces marched with shouts of Bole So Nihal — Sat Siri Akal resounding in the sky. These were followed by more troops under the command of Diwan Chand, Jaffer Jang, Hukam Singh Chimni, Sardar Jawala Singh and Sardar Sham Singh Attari. Besides, the Maharaja kept in reserve a force of 10,000 strong so that in case of any exigency it could be sent at a moment’s notice. The Khalsa forces reached Bhimber from where the hill tract starts. Drinking water was not available in the hills, so the soldiers were asked to replenish their water supplies. Then they reached Saidabad where an old fort could be used for halt. The hakim of the fort fled without offering any resistance. The Khalsa army captured the fort without any loss of men or material. This was their first victory. The forces marched further and reached Rajouri on May 1, 1819. The Shalimar garden, situated on the banks of river Tawi and with a spacious baradari, was occupied. The local hakim tried to offer some resistance, but his forces were over-powered by the division under the command of Hari Singh Nalwa who gave him a crushing defeat. Many of Agar Khan’s soldiers were slain and much of his war equipment was lost. The Sikhs too lost ten of their brave men of whom Sardar Jodh Singh Russa deserves a mention. He was a man of indomitable spirit and his dynamism impressed one and all. Agar Khan fled and his force was so demoralised that it surrendered unconditionally. While fleeing Agar Khan was captured and was sent to Bhimber where Maharaja Ranjit Singh held his darbar. Agar Khan sought mercy from the Maharaja and promised to remain loyal to him in future. He offered to assist the Maharaja in the annexation of Kashmir. The Maharaja pardoned him and made him Raja of Rajouri. The Sikh forces marched further and halted at Behram Pass. The route was hilly and rugged and the entire journey was strenuous. 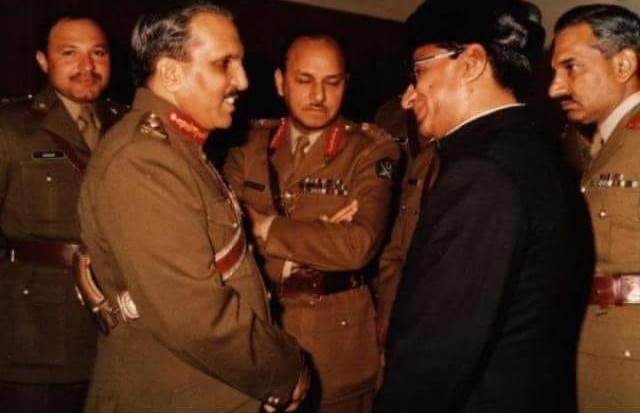 Here, an Afghan faujdar was a petty chief. When he came to know of the massive Sikh attack he fled in panic towards Sirinagar, leaving his fortress unprotected. Behram Pass was thus captured. Mir Mohammad Khan, the kotwal of Poonch, submitted to the Sikh General and the kotwal of Supin, Mohammad Ali, followed in his foot-steps. Jabbar Dost Khan, the Raja of Poonch, who had closed the fort, did not surrender and offered some resistance. Raja Sultan Khan, who was acquainted with the topography of the area, was ordered to attack the fort. The Raja scaled the walls of the fort. Many soldiers defending the fort were slain in the battle that ensued. At last Jabbar Dost Khan was left with no alternative but to surrender to the Sikhs. 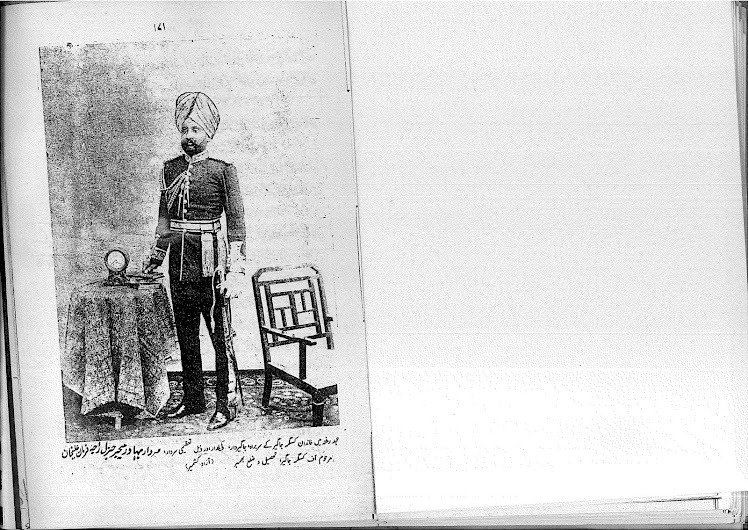 The Governor of Basana was also made to swear allegiance to Maharaja Ranjit Singh. Thus, the route to Pir Panjal pass was fully secured. Missar Diwan Chand divided the army into three divisions and directed them to march towards the valley of Kashmir through different routes. The Missar himself headed the forces which were to cross Pir Panjal. They marched at a lightning speed and entered the valley. Some resistance was offered by the Pathans and after many a dead and wounded, they were made to flee in dismay, leaving behind large war equipment which was taken possession of by the Sikhs. The Sikh morale was very high and on June 16, 1819, the entire Sikh force took up their position at Serai Ali, leading to Supin. Meanwhile, Maharaja Ranjit Singh himself arrived at Shabad to supervise the arrangements and to see that the supply position was in perfect order. Jabbar Khan faced the Sikh forces in the plains of Supin with a 5000 strong force. The bugles sounded and the sky was rent with the cries of Bole So Nihal — Sat Siri Akal. On July 5, 1819, a fierce battle was fought between the opposing armies. For sometime the Afghans held the Sikh forces and were also able to capture two of their guns. But then the Sikhs rallied and regrouped their forces and made a severe attack on the Afghans who fled towards Shergarh. Jabbar Khan was wounded and had a narrow escape. Kashmir was thus conquered and made part of the Sikh empire. The Maharaja’s forces then made a triumphant entry into Srinagar. Next day the city was fully occupied. Jabbar Khan fled with a few of his men, crossed the mountains and eventually reached Peshawar. In Srinagar, Prince Kharak Singh announced that nobody should feel apprehensive, adding that full protection would be offered to everyone. No distinction would be made on the basis of caste, creed or colour. Following the established Sikh practice, the Sikh armies did not subject the conquered territories to plunder. A huge procession was taken out in the city. It was a unique thing in the history of Kashmir. The town had been ransacked several times by earlier conquerers. For the first time, the victorious forces had remained peaceful and not a single case of loot or arson had taken place. The Sikh forces were, therefore, welcomed with open arms. A warm reception awaited the soldiers on whom flower petals were showered. Prince Kharak Singh encamped in Shergarh fort. Hari Singh Nalwa’s fame increased manifold. He was at the height of his glory, for he had played a leading role in the capture of Kashmir. On the Maharaja’s orders, Hari Singh Nalwa and Sham Singh Attari marched towards Muzzafrabad and Darband and they succeeded in the complete subjugation of those parts. Maharaja Ranjit Singh Sukerchakia had made Lahore the capital of the Sikh Empire of the Punjab, which he built up between 1799 and his death in 1839. After his death, factions and assassinations destroyed the unity of the State, causing alarm to the British because it weakened the buffer against the perceived threat of invasion from the north. Provocative acts by both the British and the Sikhs escalated tension and, on December 13, 1845, Hardinge issued a proclamation declaring war on the Sikhs. The course of the First Anglo-Sikh War is described in detail in the article on that subject. The British came very near to defeat at the Battle of Ferozeshah, but were eventually victorious and, after the defeat of the Sikhs at the Battle of Sobraon, the British marched unopposed into Lahore on February 20, 1846. The Treaty of Lahore of March 9, 1846, was a peace treaty marking the end of the First Anglo-Sikh War. The Treaty was concluded, for the British, by the Governor-General Sir Henry Hardinge and two officers of the East India Company and, for the Sikhs, by the seven year old Maharaja Duleep Singh Bahadur and seven members of the Lahore Durbar acting on his behalf. The terms of the Treaty were punitive. Sikh territory was reduced to a fraction of its former size, losing Jammu, Kashmir, Hazara, the territory to the south of the river Sutlej and the forts and territory in the Jalandhar Doab between the rivers Sutlej and Beas. In addition, controls were placed on the size of the Lahore army and thirty-six field guns were confiscated. The control of the rivers Sutlej and Beas and part of the Indus passed to the British, with the proviso that this was not to interfere with the passage of passenger boats owned by the Lahore Government. Also, provision was made for the separate sale of Kashmir by the East India Company at a later date to Gulab Singh, the Raja of Jammu. The peace treaty was negotiated and drafted by Frederick Currie, assisted on military aspects by Brevet-Major Henry Lawrence, acting under powers vested in them by Hardinge. The text is given later in this article. Currie's diplomatic skills so impressed Hardinge that the home authorities rewarded him with a baronetcy in January 1847. On March 11, 1846, two days after the signing of the Treaty, a supplement, comprising eight Articles of Agreement, was signed by the same parties. It provided that a British force would remain in Lahore until no longer than the end of the year "for the purpose of protecting the person of the Maharajah and the inhabitants of the City of Lahore, during the reorganization of the Sikh Army". This supplementary agreement was at the request of the Lahore Durbar. The Lahore army would vacate the City, convenient quarters would be provided for the British troops and the Lahore Government would pay the extra expenses. The Agreement also provided that the British would respect the bona fide rights of jagirdars in the Lahore territories and would assist the Lahore Government in recovering the arrears of revenue justly due to the Lahore Government from the kardars and managers in the territories ceded by the provisions of Articles 3 and 4 of the Treaty. The British demanded payment of 15 million rupees (one and a half crore) as reparations for the cost of the war. As the Lahore Government was unable to pay the whole of this sum immediately, it ceded some of the territories mentioned above, including Hazara and Kashmir, as equivalent to 10 million rupees (one crore). The Maharaja was also required to pay 6 million rupees (60 lakhs) immediately. The British then sold Kashmir to the Raja of Jammu, Gulab Singh, for 7.5 million rupees (75 lakhs). The treaty of sale was concluded on March 16, 1846, in the Treaty of Amritsar and signed by Gulab Singh, Hardinge, Currie and Lawrence. Gulab Singh thus became the founder and first Maharaja of the princely state of Jammu and Kashmir. The supplementary Articles of Agreement had specified that the British troops would remain in Lahore until no later than the end of 1846. When the time approached for the British to leave, the Durbar requested that the troops should remain until the Maharaja attained the age of 16. The British consented to this and new articles of agreement were drawn up, forming the Treaty of Bhyroval. This was signed on December 26, 1846, by Currie, Lawrence and 13 members of the Durbar and later ratified by Hardinge and the young Maharaja. A key condition of the British agreement was that a Resident British officer, with an efficient establishment of assistants, was to be appointed by the Governor-General to remain at Lahore, with "full authority to direct and control all matters in every Department of the State". The Regent, Maharani Jindan Kaur, mother of the Maharaja, was awarded an annual pension of 150,000 rupees and replaced by a Council of Regency composed of leading Chiefs and Sirdars acting under the control and guidance of the British Resident. This effectively gave the British control of the Government. "Whereas the treaty of amity and concord, which was concluded between the British government and the late Maharajah Runjeet Sing, the ruler of Lahore, in 1809, was broken by the unprovoked aggression, on the British Provinces, of the Sikh army, in December last; and whereas, on that occasion, by the proclamation, dated 13th December, the territories then in the occupation of the Maharajah of Lahore, on the left or British bank of the river Sutlej, were confiscated and annexed to the British Provinces; and since that time hostile operations have been prosecuted by the two Governments; the one against the other, which have resulted in the occupation of Lahore by the British troops; and whereas it has been determined that, upon certain conditions, peace shall be re-established between the two Governments, the following treaty of peace between the Honorable East India Company and Maharajah Dhuleep Sing Bahadoor, and his children, heirs and successors, has been concluded on the part of the Honourable Company by Frederick Currie, Esquire, and Brevet-Major Henry Montgomery Lawrence, by virtue of full powers to that effect vested in them by the Right Hon'ble Sir Henry Hardinge, G.C.B., one of her Britannic Majesty's Most Hon'ble Privy Council, Governor-General, appointed by the Honourable Company to direct and control all their affairs in the East Indies, and on the part of His Highness Maharajah Dhuleep Sing by Bhaee Ram Sing, Rajah Lal Sing, Sirdar Tej Sing, Sirdar Chuttur Sing Attareewalla, Sirdar Runjore Sing Majeethia, Dewan Deena Nath and Fakeer Nooroodden, vested with full powers and authority on the part of His Highness. Article I. There shall be perpetual peace and friendship between the British Government on the one part and Maharajah Dhuleep Sing, his heirs and successors on the other. Article II. The Maharajah of Lahore renounces for himself, his heirs and successors, all claim to, or connection with, the territories lying to the south of the River Sutlej, and engages never to have any concern with those territories or the inhabitants thereof. Article III. The Maharajah cedes to the Honorable Company, in perpetual sovereignty, all his forts, territories and rights in the Doab or country, hill and plain, situated between the Rivers Beas and Sutlej. Article IV. The British Government having demanded from the Lahore State, as indemnification for the expenses of the war, in addition to the cession of territory described in Article 3, payment of one and half crore of Rupees, and the Lahore Government being unable to pay the whole of this sum at this time, or to give security satisfactory to the British Government for its eventual payment, the Maharajah cedes to the Honourable Company, in perpetual sovereignty, as equivalent for one crore of Rupees, all his forts, territories, rights and interests in the hill countries, which are situated between the Rivers Beas and Indus, including the Provinces of Cashmere and Hazarah. Article V. The Maharajah will pay to the British Government the sum of 60 lakhs of Rupees on or before the ratification of this Treaty. Article VI. The Maharajah engages to disband the mutinous troops of the Lahore Army, taking from them their arms and His Highness agrees to reorganize the Regular or Aeen Regiments of Infantry upon the system, and according to the Regulations as to pay and allowances, observed in the time of the late Maharajah Runjeet Sing. The Maharajah further engages to pay up all arrears to the soldiers that are discharged, under the provisions of this Article. Article VII. The Regular Army of the Lahore State shall henceforth be limited to 25 Battalions of Infantry, consisting of 800 bayonets each with twelve thousand Cavalry - this number at no time to be exceeded without the concurrence of the British Government. Should it be necessary at any time - for any special cause - that this force should be increased, the cause shall be fully explained to the British Government, and when the special necessity shall have passed, the regular troops shall be again reduced to the standard specified in the former Clause of this Article. Article VIII. The Maharajah will surrender to the British Government all the guns - thirty-six in number - which have been pointed against the British troops and which, having been placed on the right Bank of the River Sutlej, were not captured at the battle of Subraon. Article IX. The control of the Rivers Beas and Sutlej, with the continuations of the latter river, commonly called the Gharrah and the Punjnud, to the confluence of the Indus at Mithunkote and the control of the Indus from Mithunkote to the borders of Beloochistan, shall, in respect to tolls and ferries, rest with the British Government. The provisions of this Article shall not interfere with the passage of boats belonging to the Lahore Government on the said rivers, for the purpose of traffic or the conveyance of passengers up and down their course. Regarding the ferries between the two countries respectively, at the several ghats of the said rivers, it is agreed that the British Government, after defraying all the expenses of management and establishments, shall account to the Lahore Government for one-half the net profits of the ferry collections. The provisions of this Article have no reference to the ferries on that part of the River Sutlej which forms the boundary of Bhawulpore and Lahore respectively. Article X If the British Government should, at any time, desire to pass troops through the territories of His Highness the Maharajah, for the protection of the British territories, or those of their Allies, the British troops shall, on such special occasion, due notice being given, be allowed to pass through the Lahore territories. In such case the officers of the Lahore State will afford facilities in providing supplies and boats for the passage of rivers, and the British Government will pay the full price of all such provisions and boats, and will make fair compensation for all private property that may be damaged. The British Government will, moreover, observe all due consideration to the religious feelings of the inhabitants of those tracts through which the army may pass. Article XI The Maharajah engages never to take or to retain in his service any British subject - nor the subject of any European or American State - without the consent of the British Government. Article XII. In consideration of the services rendered by Rajah Golab Sing of Jummoo, to the Lahore State, towards procuring the restoration of the relations of amity between the Lahore and British Governments, the Maharajah hereby agrees to recognize the Independent sovereignty of Rajah Golab Sing in such territories and districts in the hills as may be made over to the said Rajah Golab Sing, by separate Agreement between himself and the British Government, with the dependencies thereof, which may have been in the Rajah's possession since the time of the late Maharajah Khurruck Sing, and the British Government, in consideration of the good conduct of Rajah Golab Sing, also agrees to recognize his independence in such territories, and to admit him to the privileges of a separate Treaty with the British Government. Article XIII In the event of any dispute or difference arising between the Lahore State and Rajah Golab Sing, the same shall be referred to the arbitration of the British Government, and by its decision the Maharajah engages to abide. Article XIV. The limits of the Lahore territories shall not be, at any time, changed without the concurrence of the British Government. Article XV. The British Government will not exercise any interference in the internal administration of the Lahore State, but in all cases or questions which may be referred to the British Government, the Governor-General will give the aid of his advice and good offices for the furtherance of the interests of the Lahore Government. Article XVI. The subjects of either State shall, on visiting the territories of the other, be on the footing of the subjects of the most favoured nation. This Treaty consisting of sixteen articles, has been this day settled by Frederick Currie, Esquire, and Brevet-Major Henry Montgomery Lawrence acting under the directions of the Right Hon'ble Sir Henry Hardinge, G.C.B., Governor-General, on the part of the British Government, and by Bhaee Ram Sing, Rajah Lal Sing, Sirdar Tej Sing, Sirdar Chuttur Sing Attareewalla, Sirdar Runjore Sing Majeethia, Dewan Deena Nath, and Faqueer Noorooddeen, on the part of the Maharajah Dhuleep Sing, and the said Treaty has been this day ratified by the seal of the Right Hon'ble Sir Henry Hardinge, G.C.B., Governor-General, and by that of His Highness Maharajah Dhuleep Sing. Done at Lahore, this ninth day of March, in year of Our Lord one thousand eight hundred and forty-six; corresponding with the,tenth day of Rubbee-ool-awul, 1262 Hijree, and ratified on the same date. The Princely state of Bhimbar was the gateway to Kasmir.All the emperors of India (Tughlaqs, Lodhis and Mughals etc) while visiting Kashmir used to stay in Princely Hill State of Bhimbar. Therefore due to geographic and strategic location the Rajas of Bhimbar had always very healthy relations with Dehli Banquet. Raja Gorpal Chand the Ruler of Bhimber in Ibrahim Lodhi,s time appointed a muslim Tutor for his sons(Princes) to learn Persian so that they can communicate easily in Dehli imperial court. Dharam/Shadeep Chand the crown prince (eldest son) slightly molded towards Islam. After Ibrahim Lodhi ,Babar became the Emperor of India and Shadeep or Dharam Chand became the Raja of Bhimbar. Babar lived very short and ultimately his son Humayun became the emperor. Due to the frequent visits of Kashmir ,Shadeep or Dharam Chand of Bhimbar became a very good friend of Humayun and later shifted to the Mughal court leaving behind his Hindu wives and children and the crown prince took over the state as care take Raja of Bhimbar.Ultimately in the company of Muslim Mughals ,Dharam Chand converted to Islam and his new name was Raja Shadab Khan also known as Raja Shadi Khan, participated in 72 expeditions of Emperor Humayun, got married with the niece of Emperor Humayun and daughter of Gen.Pir Haybat Khan Kandhari (Army Cheif).She was probably Shadab’s third/forth wife. Shahadat of Raja Shadab Khan (Version No.1)(Most Popular). In Humayun’s reign Raja Shadi/Shadab Khan served as Governor of Kandhar .After a long period staying with his Muslim afghan wife in Delhi, Raja Shadab got the message from his beloved Hindu Rani Thakyaal (youngest of all hindu wives)to come back to country Chibbhal (Bhimbar). Raja Shadab left Delhi and his Muslim wife and children and ran towards Bhimbar that annoyed his father in law Pir Haybat Khan.General Pir Haybat Khan Kandhari who was the Army Chief in humayun’s and then Akbar’s army, chased Raja Shadab with heavy contingent of force. Near Bhimbar there is a place called DHAKKI or Samani, Pir Hayabat intercepted Raja Shadab.and after an encounter both Pir Hayabat and Raja Shadab got killed, and the platoon of Pir Haybat escaped from the place leaving the dead body of their General behind. The tomb by the name of Hazrat Baba Shadi Shaheed was constructed at the same very place he got killed. The horse of Pir Haybat Khan took along his dead body from Bhimbar to Kharian-gujrat and then the village Puran –Saraialamgir-gujrat. Now there is Tomb o Pir Haybat Khan kandhari is present there as well but not very popular. Version No 2(Less Popular) In Humayun’s reign Raja Shadi/Shadab Khan served as Governor of Kandhar in Humayun’s peroid and later Nazim of Kashmir in Akbar regin. In old age he took retirement, left his Muslim Afghan wife and children and came back to his home and took over the Kingship of Bhimber state from his elder son. Then he started preaching of Islam in his state starting from his own Palace and managed to convert all his family and most of the relatives from Hindu to Muslim. The descendants of Raja Shadab/Shadi Khan from his Muslim Afghan wife are settled in Delhi in the area now called “Mohalla Shadi Khel”.When Raja Shadab Khan came back to Bhimbar and started preaching Islam, his Hindu Cousin Raja Ghiggi Chand got annoyed and made alliance with Thakkyal and suddhan Hindu Rajputs in order to destroy Muslim Raj. In the middle of 16th century approximately 1557(during the tenure of Emperor Akbar) Raja Shadab Khan while traveling along with Royal convoy got ambushed by Raja Ghiggi Chand’s rebellion forces and mytered at place named DHAKKI or SAMANI. Now his shrine by the name of Hazrat Baba Shaadi Shaheed still exists there and thousands of people visit the Darbar for Hazri. After killing Raja Shadab, Raja Ghiggi Chand tried to take over the Rajdhani of the state, but Raja Shadab’s sons, Raja Bhoom Khan and Raja Mal Khan retaliated and defeated Hindus and continued the Muslim Raj in Bhimber. o Raja ROPU KHAN III. • Raja BHOOM KHAN married and issues. • Raja JAMSHED KHAN married and issues. • Raja SULEMAN KHAN married and issues. • Raja SULTAN KHAN 1790/1840 the second last and very famous Raja of the line. He resisted the Maharaja Ranjit singh to capture Kashmir (details mentioned in the Origin and history of Chib Rajputs).He married and issues..
Raja FAZALDAD KHAN, son of Raja FAIZ TALIB KHAN of Bhimber (see above) which was annexed by Maharaja RANJIT SINGH of Lahore,was appointed as Risaldar Major married and had issue..
Raja ALI BAHADUR KHAN, who was a Provincial Darbari and served ad Extra Assistant Commissioner in Rawalpindi Division married and issue. 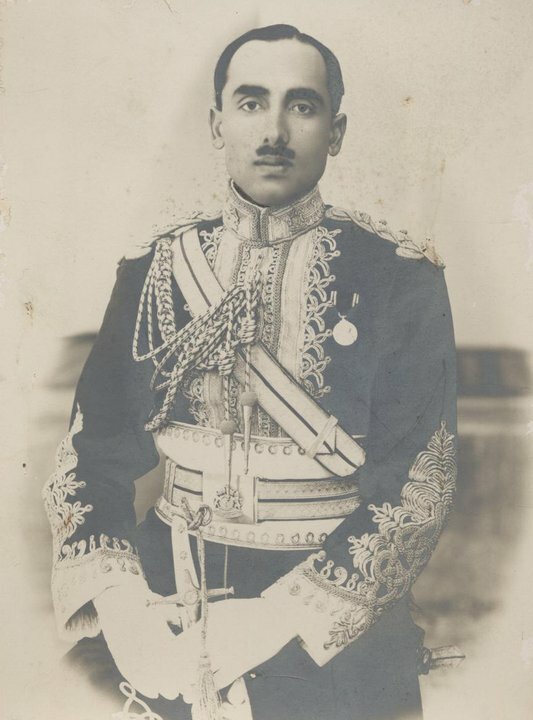 o Raja MUHAMMAD AKBAR KHAN, was a Naib-Tehsildar,but was compelled to resign on account of the precarious state of his father’s health.After his father’s death in 1908 succeeded to the family pension and seat in Provincial Darbari, and to the hereditary title of Raja, married and had issues..
Raja MUHAMMAD AFZAL KHAN, born 1905, married, and had issue.. PRESENT HEAD OF HOUSE: Raja Shri ADITYA DEV CHAND KATOCH, 488th Raja of his line, Head of the Royal House of Kangra, Jagirdar of Lambagraon, Rajgir and Mahal Moria (1988/-) (Clouds End Villa, Dharamsala, District Kangra, Himachal Pradesh, India)educated at Doon School, Dehra Dun; married 4th December 1968, Rani Shrimati Chandresh Kumari, daughter of HH Raj Rajeshwar Maharajadhiraj Maharaja Shri HANWANT SINGH Sahib Bahadur of Jodhpur, and his wife, HH Maharani Krishna Kumari Ba Sahiba, and has issue. Tikka Aishwariya Chand Katoch, married about 1997, Tikkarani Shailaja Kumari, daughter of HH Raja VIKRAM SINGH of Sailana, and his wife, HH Rani Chandra Kumari, and has issue. o Natiraj Ambikeshwar Dev Chand Katoch, born 22nd December 1998. • 1. Rajanaka BHUMI CHAND fl.4300BC. • 280. Rajanaka PARMANAND CHAND I [Porus] fl.330BC, fought against Alexander the Great of Macedon. • 435. Rajanaka INDU CHAND fl.1033, married and had issue. o Two daughters married Raja ANANT DEV of Kashmir. • 441. Raja PADAM CHAND fl.1170, aided King PRITHVIRAJ III of Delhi against Muhammad Ghouri, his brother founded the state of Jaswan in 1170. 455.Raja MEGH CHAND 1390/1405, fought against Timur, married and had issue. o Raja PRATAP CHAND, founder of Bhimbar. Raja HARI CHAND I 1405/1415, founded Guler in 1415 with his capital at Haripur, ancestor of the families of Siba and Datarpur. Raja KARAN CHAND II 1415/1430, granted the title of Bada Raja. Raja NARENDRA CHAND 1465/1480, married (amongst other), a daughter of the Raja of Puna. Raja SUVIRA CHAND 1480/1490 or 1480/1499, married and had issue. Raja PRAYAG CHAND 1490/1510 or 1499/1520, married and had issue. o Mian Kalyan Chand, married and had issue. Raja DHARAM CHAND 1528/1563, born 1468?, he was granted the title of Maharaja by the Mughal Emperor Akbar, married and had issue. He died 1563. Raja MANIKA CHAND 1563/1570, died 1570. Raja JAI CHAND V 1570/1585, married and had issue. He died 1585. Raja BIDHI CHAND 1585/1607, fought against the Mughal Emperor Akbar. He died 1607. Raja CHANDARBHAN CHAND 1627/1658, married and had issue. He died 1658 in Delhi. o Mian Narpat Chand of Bijaipur, married and had issue.  Mian Prag Chand, married and had issue.  Mian Agar Chand, married and had issue. He died 1732.  Mian Nigahi Chand, married and had issue. He died 1796.  Mian Molak Chand, born 1833, married and had issue. He died 1874.  Mian Mordhaj Chand, born 1853, married and had issue. He died 1887.  Mian Devi Chand, born 1881, married and had issue. o Kumari (name unknown), married Raja SURAJ SEN of Mandi. Raja VIJAY RAM CHAND 1660/1687, received a mansab of 5000 foot, died 1687. Raja UDAI RAM CHAND 1687/1690, married and had issue. He died 1690.
o Mian Kirpal Chand, died 20th February 1696. Raja BHIM CHAND 1690/1697, Dharam Rakshak, married and had issue. He died 1697. Raja ALAM CHAND II 1697/1700, founded Alampur, married and had issue. He died 1700. Raja HAMIR CHAND 1700/1747, built the fort of Hamirgarh and founded the town of Hamirpur, married and had issue. He died 1747.
o Mian (name unknown) Chand, married and had issue. Raja ABHAY CHAND 1747/1750, built the fort of Riyal-Tira-Abhymanpur and the temple of Thakurdwara, married Rani Suratu Devi of Bhadrawah, and had issue. o Kumari (name unknown), married Raja AMRIT PAL of Basohli. Raja GHAMIR CHAND 1750/1751, married and had issue, 11 sons excluded from the succession. He died 1751. Raja GHAMAND CHAND 1751/1774, rebuilt Pathiar Fort, appointed Nazim of the Jalandhar Doab by Ahmad Shah Durrani in 1758. He died 1774. Raja TEGH CHAND 1774/1775, born about 1745; married and had issue. He died 1775.
o Raja Fateh Chand, received the Jagir of Rajgir, married and had issue. He died 1828.  Mian Rudra Chand [Ludar Chand] of Rajgir, married and had issue. He died 1851.  Raja PRATAP CHAND, adopted by the Maharani of Pramodh Chand of Lambagraon.  Mian Kirat Chand, married and had issue.  Mian Jagroop Chand, born 1860, married and had issue.  Kanwarani Amar Dei, married Kanwar Pratap Singh of Chamba, and had issue.  Mian Udai Chand, married and had issue.  Mian Daljit Singh, born 1866, married and had issue.  Kanwar Pargas Chand, born 1890.  Kanwar Shyam Chand, born 1892.  Mian Rai Singh (natural son), married and had issue.  Rani Katochan, married (as his fourth wife), Maharaja NAUNIHAL SINGH of Lahore. She committed sati November 1840.  Kumari (name unknown), married Raja HIRA SINGH of Jasrota. o Mian Man Chand. died sp. o Kumari (name unknown), married Raja DHARAM PRAKASH of Sirmur. Raja SANSAR CHAND II 1775/1823, born 1765 in Bijapur, assumed the titles of Naresh and Chhatrapati, lost most of his possessions by the Treaty of Jawalamukhi in 1810, being allocated the small Jagir of Lambagraon for his maintenance, married 1stly Rani (?Prasanna Devi), daughter of Mian Kishan Singh of Suket, married 2ndly, a Rani from Sirmur, married 3rdly, a Rani from Bangahal, married 4thly, Gulab Dassi Gaddan, and had issue. He died December 1823.
o Kumari (name unknown) (by first wife), married Raja SUDARSHAN SHAH of Tehri-Garhwal. o Raja Sir JODHBIR CHAND (by Gulab Dassi Gaddan), 1st Raja of Nadaun. o Rani Mahtab Devi [Rani Katochan] (by Gulab Dassi Gaddan), married 1829, Maharaja RANJIT SINGH of Lahore. She committed sati 28th June 1839.
o Rani Raj Banso Devi (by Gulab Dassi Gaddan), married 1829, Maharaja RANJIT SINGH of Lahore. She committed suicide in 1835. Raja ANIRUDDH CHAND II 1823/1833, son of Raja SANSAR CHAND II of Kangra (see above) which was annexed by Maharaja RANJIT SINGH of Lahore, married 1stly, a Rani from Jasrota, married 2ndly, 1820, a Rani from Suket, and had issue. He died 1833. Raja RANBIR CHAND 1833/1847, born 1808, recieved the Jagir of Mahal Moria in Kangra of 50,000Rs in value. He died spl 1847.
o Mian Pradhan Chand, he was granted a jagir at Alampur in 1851; married and had issue, the jagirdars of Alampur. He died 1880. Raja PRAMODH CHAND 1847/1851, born 1815, opposed the authorities and was deported for life to Almora, official Freedom Fighter of India, married a daughter of Raja RAM SARAN SINGHH of Nalagarh. He died sp 1851 in Almora. Raja PRATAP CHAND III 1851/1864, born 1822, originally of Rajgir, married a daughter of HH Raja FATEH PRAKASH of Sirmur, and had issue. He died 1864.
o Rajkumari (name unknown), married Raja Ram Singh of Jammu and Kashmir. 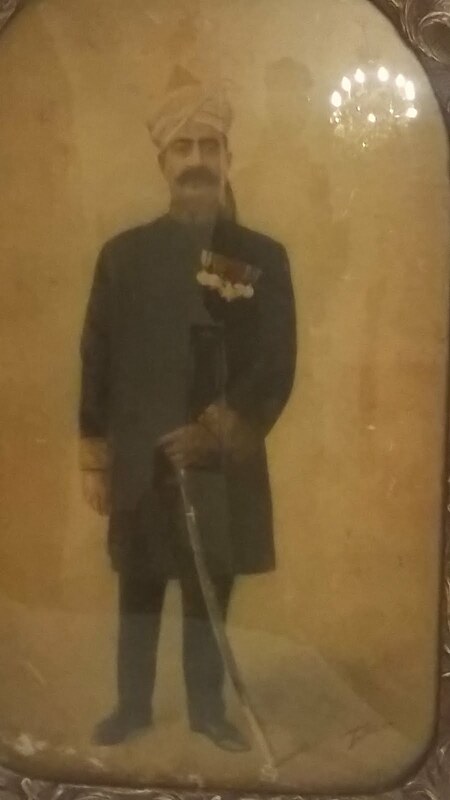 Col. Maharaja Sir JAI CHAND VI 1864/1933, born 1862, adopted by the Rani of Raja Pramodh Chand, the Jagir was under the control of the Court of Wards till 1883, the title of Raja was conferred as a hereditary distinction on 15th March 1909 by the Viceroy, Maharaja [cr.1922] (personal), K.C.I.E. [cr.1918], Dharam Ratan, C.S.I. [cr. Jan-1913], F.R.S.A., Member of Council of Governor-General of India and Hon. Lieutenant Colonel Indian Army, granted a personal gun salute of 11 guns, married 1stly, a daughter of Raja AMAR CHAND of Bilaspur, married 2ndly, a Rani from Mankot, married 3rdly, another Rani from Mankot, maried 4thly, a Rani from Manaswal, married 5thly, another Rani from Manaswal, married 6thly, another Rani from Manaswal, married 7thly, another Rani from Manaswal, married 8thly, a Rani from Jammu, married 9thly, a Rani from Suket, and had issue. He died 1935.
o Maharajkumar Dewan Chand, died 1928.
o Rani Jwale Dei, married (as his eighth wife), Raja Sir PADAM SINGH of Bashahr, and had issue. She died 22nd July 1949. Raja Shri DRUV DEV CHAND KATOCH 1935/1988, born 1922, married Rani Narendra Kumari, daughter of Lt.Col. HH Sir Maharaja NARENDRA SHAH Sahib Bahadur of Tehri-Garhwal, and his wife, HH Maharani Kamlendu Mati Devi, and had issue. He died 1988.
o Col. Rajkumar Manikya Dev Chand Katoch, born 3rd May 1947, educated at the Doon School, Dehra Dun, Uttrakhand, later attended the N.D.A. and the I.M.A. and served with the Poona Horse Regiment and saw action in the Indo-Pakistan war of 1971; married 4th February 1972, Rajkumar Rani Kiran Kumari of Sarmathura in Rajasthan, and has issue, one son and one daughter.  Kanwar Abhiudaya Chand Katoch, married Baiji Lal Priyanjali Kumari, daughter of Thakur Kesari Singh of Mandawa, and his wife, Thakurani Darshana Kumari.  Kumari Himani Devi Katoch, to marry on 19th February 2009 at Jaipur, Shri Virat Shumshere Jung Bahadur Rana, born 12th September 1981 in Kathmandu, son of Shri Gautam Shumsher Jung Bahadur Rana, and his wife, Rani Bhavna Kumari, daughter of Kunwar Ratan Singh of Dhami. Raja ADALAT KHAN, the fifth son of Raja Qadardad Khan of Khambi, joined British Indian Police Service and retired as City Inspector of Police-Quetta in 1935. He received the KINGS POLICE MEDAL from Viceroy of India in 1918 and received the title of SHERLOCK HOLMES of BALOCHISTAN POLICE FORCE from the British Government.His daughter married to the youngest son of Raja Muhammad Akbar Khan (Raja of Bhimbar). Raja Habib ur Rahman Khan (1913–1978) was an Indian freedom fighter during British colonial rule of India, Rahman was an officer in the Indian National Army who was charged with "waging war against His Majesty the King Emperor". Along with Gen. Shah Nawaz Khan, Col. Prem Kumar Sahgal & Col. Gurbaksh Singh Dhillon, he was tried by the British at the end of World War II in the famous INA trials that began on November 5, 1945 at Red Fort. Rahman also played an important role in the Indo-Pakistani War of 1947. Raja Habib ur Rahman Khan was one of greatest and most celebrated hero's of the war to liberate Kashmir from Dogra rule. Fought against Maharaja Hari Singh's Dogra army and conquered Bhimber in Indo-Pakistani War of 1947. During the Jammu & Kashmir agitation for freedom, he trained many people of the area as Mujahids to fight against the Dogra army for freedom.Indo-Pakistani War of 1947. •	Fateh-e-Bhimber (Liberator of Bhimber). The Raja Habib ur Rahman Khan degree college of Bhimber is named after him. Raja Habib ur Rahman Khan, son of Raja Manzoor Ahmad Khan was born into a well renowned Chib Rajput family in the village of Panjeri, District Bhimber in Azad Kashmir. 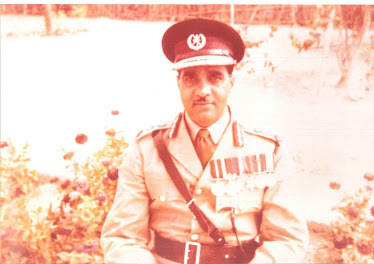 His Maternal grand father Raja Rahamdad Khan was the Wazir Wazart in the court of Lieutenant-General Maharajadhiraj Sri Sir Pratap Singh, the then Maharaja of Jammu and Kashmir and maternal Uncles were Raja Mohammad Sarwar Deputy Commissioner Srinagar, Gen. Raja Abdul Rahman Prime Minister of Alwar State, Capt. Raja Fazal Rahman Member Azad Kashmir Legislative Assembly and Col. Dr Raja Mohammad Sharif. Habib ur Rahman got his primary education at Panjeri in Government primary school. After passing 4th class he got education in number of schools, and went to Jammu to complete his graduation. He got education from teachers belonging to various religions. He was a member of the Boy Scout Association. Rahman had knowledge of Persian, Urdu, Hindi Punjabi and English languages. After completing early education at his ancestral village he got enrolled himself at the Prince of Wales Royal Indian Military College, Dehradun and was commissioned as an officer in the British Indian Army. In 1933 after training from Dehradun joined 5th Battalion, formed by redesignation of 40th Pathans, the 5/14th Punjab Regiment on May 29, 1933. As a officer his pay was hundred rupees per month. He was posted to 1st Battalion of the 14th Punjab Regiment, which was called "Sher Dil Paltan". He joined his Battalion on the last day of March 1935. His Battalion moved from Lahore to Secunderabad in September 1940. Soon after the second week of February 1941, Raja Habib ur Rahman Khan and his battalion were ordered to move overseas. Left Secunderabad on 3 March 1941 for Penang Island and from there to Ipoh, north of Kuala Lumpur in Malaya. After about two months stay at Ipoh, their Battalion moved to Sungei Pattani in South Kedah as a part of the 5th Indian Infantry Brigade under Brigadier Garrett. The 3rd Cavalry was allotted the defence of the Island of Penang. He disembarked at Singapore and reported at 7 MRC, Mixed Reinforcement Camp at Bidadari. From Singapore he was sent to Jitra situated on the main road to Thailand, 16 miles (26 km) south of the border. He arrived Jitra on December 5, 1941. Following the attack on Pearl Harbor and the bombing of Singapore on the early morning of 7 December 1941, the United States declared war on Japan. The Japanese forces completely destroyed the squadrons of the Royal Air Force at Sungei, Alor Star and Kota Bharu airfields. On December 11, 1941, 1/14th Punjab Regiment fought a pitched battle at Changlun near the Thai frontier. Raja Habib ur Rahman Khan was Battalion Signal Officer with his C.O. Col. Fitzpatrick who remained nearest to the front line. The Battle of Changlun went on for eight hours and was lost. The 1/14th Punjabs were not reformed after this battle. The town of Alor Star had also fallen. On December 13, 1941 they arrived at Miami Beach near Penang. They were taken to 3 M.R.C. in Penang. At this time Penang was hurriedly evacuated . They were given the duty to guard a railway bridge at Nibong Tabol. They guarded the bridge for another two days till the arrival of Japanese. Then they were ordered to withdraw to Ipoh where Raja Habib ur Rahman Khan fell ill with malaria. He was hospitalized and sent to Singapore. By the dawn of 9 February 1941, almost two divisions of the Japanese had landed on the soil of Singapore. On February 10, 1941, 7 MRC was moved to Raffles Square, a business area. By that time it was apparent that the surrender of Singapore was imminent. On February 13, 1941, Raffles Square was bombed. 7MRC suffered heavily with about 300 killed and many more wounded. The second-in-Command of 7 MRC, an English Major and Raja Habib ur Rahman Khan had a difficult job disposing of corpses. They dropped them in ocean. Singapore capitulated on February 15, 1941 and British Forces surrendered unconditionally to the Japanese. The defeated and demoralized Indian soldiers collected themselves at Farrer Park in Singapore. Major Fujiwara addressing the POWs expressed that it was his firm belief that world peace and the liberation of Asia could not be achieved and maintained without a free and independent India. He further said that if Indian POWs in Malaya were prepared to fight the British imperialism for the noble cause of achieving the independence of their motherland, the Imperial Japanese Government would advance all out support. He suggested the formation of Indian National Army. He handed over all the POWs in Malaya to Capt. Mohan Singh, the G.O.C. of the Indian National Army. At the stage on Farrer Park Capt. Mohan Singh addressed the POWs and decided to form an organized and disciplined power in the form of Indian National Army. The erstwhile POWs were to become now the soldiers of India’s Army of Liberation, the army that was to fight under its own leadership, with a real and just cause to wage war. Mohan Singh was from the same unit from which was Raja Habib ur Rahman Khan. He was a close friend of Raja Habib ur Rahman Khan. On February 17, 1942, Raja Habib ur Rahman Khan decided to join the Indian National Army. Next morning Capt. Mohan Singh issued orders to march off all the units of various camps on the island where the units were to occupy their allotted accommodation. Raja Habib ur Rahman Khan’s unit was to proceed to Neesoon Camp. Neesoon village was situated 13 miles (21 km) away from main town of Singapore. This camp was the Regimental Centre of the Singapore Royal Artillery. The Japanese Headquarters had asked the Supreme Headquarters to provide 200 officers to guard the British and Australian prisoners of war at Changi Camp. Raja Habib ur Rahman Khan took the risk and volunteered his services for this unpleasant task. At Changi Camp, Raja Habib ur Rahman Khan and other Indians were asked by the Japanese to give up the British drill and words of command and adopt Japanese ones. Within a fortnight they learnt the Japanese drill and words of command. Here they kept the Allied POWs in five separate Camps – Australian Camp, Hospital area, 9th Indian Division]] Camp, 11th Indian Division]] Camp and 18th British Camp. Its own officer, usually a General residing in the Camp, commanded each Camp. Changi was under military control of Japanese as well as Raja Habib ur Rahman Khan. Raja Habib ur Rahman Khan inculcated amongst the prisoners the feelings of national unity, discipline and keen sense of duty through daily lectures personally delivered by him. After some time at Changi Camp Raja Habib ur Rahman Khan fell seriously ill. He was released from the command of the Changi Garrison and sent to Seletar Camp and was admitted to POW Hospital. Raja Habib ur Rahman Khan's health improved at Seletar Camp. He along with over thirty important senior officers from among the Indian Prisoners of war attended the Bidadari conference called by Captain Mohan Singh at Bidadari Camp in Singapore on 24 April 1942. The resolutions of this Conference, came to be known as the "Bidadari Resolutions", formed the backbone of formation of INA. As resolved at the Tokyo Conference, a representative conference of the Indians who lived in East Asian countries was held at Bangkok on 15 June 1942, which continued for 10 days. Thirty INA volunteers nominated by Mohan Singh among the Indian prisoners of war attended it. A resolution was passed at this conference known as Bangkok Resolution. Raja Habib ur Rahman Khan got his National Commission on 1 September 1942 and was posted as major on the 10 September 1942. He was still ill so he was attached to the Reinforcement Group. The first review of INA was held at Singapore Padaung in front of the Municipal Buildings on October 2, 1942, Raja Habib ur Rahman Khanattended this function as an observer. The progress in recuperating Raja Habib ur Rahman Khan's health was slow. He was recommended a month’s leave and sent to Penang. He returned to Singapore in the middle of November 1942. The Japanese had not yet ratified the Bangkok resolutions not recognized the INA as an independent army. General Mohan Singh had lost confidence in the Japanese. In the beginning of December 1942, the Japanese asked the INA Headquarters to dispatch an advance party to move to Burma so as to prepare camps and accommodation for the main body of INA. Meanwhile differences developed between Mohan Singh and the Japanese. The Japanese arrested General Mohan Singh on December 29, 1942. There was a period of crisis due to suspense and indecision. On the advice of Rash Behari Bose Raja Habib ur Rahman Khan continued in INA. They went all over the Island and up-country to urge men to remain in the INA. Meanwhile Subhas Chandra Bose (Netaji) was trying to come to the East. In anticipation of Netaji’s arrival, the revived INA was reorganized under its new headquarters known as Directorate of Military Bureau (DMB) with Col. J.K.Bhonsle as the Director. Raja Habib ur Rahman Khan was appointed as Deputy Quartermaster General (DQMG) in the "Q" Branch at the Army Headquarters. He was to look after the Technical Branch and was responsible for the accommodation also. The Army Headquarter was organized by the middle of March 1943 and was duly gazetted on April 17, 1943. On appointment Raja Habib ur Rahman Khan took up the task of collection of kit and clothing of those personnel who decided to leave the INA. When Netaji arrived on July 2, 1943 in Singapore and the Army was enlarged in December 1943, Raja Habib ur Rahman Khan was transferred to be the 2nd-in-Command of the 5th Guerilla Regiment. Raja Habib ur Rahman Khan was appointed Second-in-Command in December 1943, and raised the 5th Guerrilla regiment at Bidadari in Singapore. Apart from helping in raising the regiment Raja Habib ur Rahman Khan was responsible for training, discipline, morale and welfare of the troops. The 5th Guerrilla Regiment was formed as part of the 2nd INA Division, which was organized under the command of Col. N.S. Bhagat consequent on the 1st Division’s move to the Front. On March 30, 1944, the 5th Guerrilla Regiment moved to Ipoh in Perak state of Malaya. Raja Habib ur Rahman Khan proceeded with the advance party to make necessary arrangements for the Regiment. Raja Habib ur Rahman Khan was sent to front at Alor Star in Infantry Regiment at Jitra. On July 15, 1944 they left Jitra for onward journey Kawashi, Mergui and Tavoy through Thailand and then to Moulmein and Rangoon in Burma. They had a period of long stay at Bangkok. From Bangkok they flew on August 21, 1944 over to Rangoon by Netaji’s personal aircraft, the "Azad Hind". At Rangoon they were accommodated in Mingaladon Camp about 14 miles (23 km) from Rangoon. Raja Habib ur Rahman Khan was here officiating as the Deputy Adjutant General (DAG) and also the Deputy quartermaster General (DGMG)as well as the Commandant of the officers traing School of INA when the first anniversary of the Provisional Government of Azad Hind came about. As part of the celebrations of the anniversary, the review of the 2nd Division of the INA was arranged at Mingaladon. It was part of duties of Raja Habib ur Rahman Khan to make arrangements and issue orders for the ceremonial parade at the vast parade ground. The parade was held on 18 October 1944. Raja Habib ur Rahman Khan met Subhas Chandra Bose on October 15, 1944 at his residence in Rangoon. He again met him on October 26, 1944 after which Raja Habib ur Rahman Khan was made Brigade Commander of the Nehru Brigade. Towards the end of 1943, "The Nehru" was put under the First Division. It moved to Burma in early 1944 and arrived at Mandalay. The Nehru Brigade was deployed in the Myingyan area with the object of defending it against enemy attack, which appeared imminent consequent on their withdrawal from Imphal. In the middle of December 1944, the Japanese Army Commander General S. Katamura visited The Nehru Brigade along with the general came Col. I. Fujiwara, the greatest supporter of the INA and one of the originators of the idea among the Japanese. Raja Habib ur Rahman Khan was advised to expect the worst so that there was no disappointment later.Towards end of 1944, Netaji Subhas Chandra Bose gave Raja Habib ur Rahman Khan the command of 4th Guerrilla Regiment also called the Nehru Brigade. His regiment distinguished itself in the battlefield. The Nehru Brigade was to hold the Irrawaddy River from Nyaungu in north to Pangan in south, both towns inclusive, and to hold the enemy crossing the Irrawaddy at those places. Raja Habib ur Rahman Khan formed an advance party from 9th Battalion and left for Pagan on December 29, 1944. Raja Habib ur Rahman Khan ordered the move of battalions to leave Myingyan by February 4, 1945 so as to be in their respective positions by February 8, 1945. Raja Habib ur Rahman Khan ensured all the arrangements. The Nehru Brigade held the Irrawaddy as planned. Raja Habib ur Rahman Khan kept his Headquarters at Tetthe during this operation. On February 12, 1945 the enemy planes carried out saturation bombing on INA defences. On 13/14 February night enemy launched an assault in front of the 8th battalion deployed at Pagon. These assaults were failed and the enemy had to withdraw. The Nehru Brigade kept on holding the Irrawaddy and this was the first victory of INA. After the failure at Pagan the enemy tried another assault crossing opposite Nyaungu by using outboard motors and rubber boats. This assault was also failed and hundreds of enemies were killed or drowned. Having failed the enemy had no other choice but to retreat. This was another victory of INA. This could not sustain and INA had to withdraw and Raja Habib ur Rahman Khan had to proceed to Pagan. Raja Habib ur Rahman Khan reached Pagan on February 17, 1945. On February 23, 1945, Col. Shah Nawaz visited the Commander of Khanjo Butai and discussed co-ordination of Indo-Japanese operations in the Popa and Kyauk Padaung area. Col. Sahgal was given the task to prepare Popa as a strong base with the view to take up an offensive role. Raja Habib ur Rahman Khan’s Regiment, the 4th Guerrilla, was assigned the duty to check the enemy advance on to Kyauk Padaung from the west, where the British had established a strong bridgehead at Nyaungu. This was to be achieved by carrying out an extensive and persistent guerrilla warfare in the area between Popa, Kyauk Padaung line in the east and as far forward towards the Irrawaddy as possible as to deny the enemy the use of Nyaungu-Kyauk-Padaullg-Meiktila metalled road for supplying reinforcements and supplies to his forces fighting in the battle of Meiktila. Shah Nawaz arrived Popa on 12 March 1945 and relieved Raja Habib ur Rahman Khan forthwith to join his regiment. On April 4, 1945 his Division Commander, Colonel Shah Nawaz Khan, asked Raja Habib ur Rahman Khan to return from Khabok to Popa. By then 4th Guerrilla regiment had been in that area waging guerrilla warfare for over five weeks. Mount Popa and Kyaukpadaung was one pocket of resistance, which had so far defied all British attacks. Under constant raids by INA the British forces were forced to use longer routes that caused the British loss of time, greater consumption of petroleum products and frequent breakdowns of vehicles. From the beginning of April 1945 the strategic situation began to change rapidly. The enemy launched a three-pronged attack on Mount Popa and Kyaukpadaung area. On 5 April 1945 Raja Habib ur Rahman Khan was allotted the defence of Kyaukpadaung, south of Popa. In the second week of April there was daily bombing from air. Under the cover of this barrage the British forces advanced in their heavy tanks and armoured vehicles. There were very heavy casualties. The INA could not organize any defence. 2nd Division of the INA was to withdraw to Magwe, 100 miles (160 km) south on Irrawaddy. After completing the task of withdrawing from Magwe, they came to a village called Kanni. On The May 17, 1945 the enemy encircled The Indian National Army. So they surrendered without any surrender ceremony. They were put into prison at Pegu. Shah Nawaz and Dhillon were taken to No. 3 Field Interrogation Centre under command of Major C. Ore on May 18, 1945. Later on May 31, they were sent to Rangoon Central Jail.On 1945 Raja Habib ur Rahman Khan was brought to Calcutta by plane and from there, sent to Delhi by train. On 1945 he was put in the Red Fort and interrogated by Mr. Bannerjee of the Central Intelligence Department. The interrogation was over by the third week of July. On the August 1945, Shah Nawaz, Sahgal, Dhillon and Raja Habib ur Rahman Khan were jointly summoned to the CSDIC for the first time. It was the beginning of the first INA trial at Red Fort. On September 17, 1945 they were served a copy of charge sheet. The main charge was waging war against the King. The news of trial was made public through the press and All India Radio. At the conclusion of the war, the government of British India brought some of the captured INA soldiers to trial on treason charges. The prisoners would potentially face the death penalty, life imprisonment or a fine as punishment if found guilty. After the war, Lt. Col. Shahnawaz Khan, Col. Habib ur Rahman ,Col. Prem Sehgal and Col. Gurbaksh Singh Dhillon were put to trial at the Red Fort in Delhi for "waging war against the King Emperor", i.e. the British sovereign. The four defendants were defended by Sir Tej Bahadur Sapru, Jawaharlal Nehru, Bhulabhai Desai and others based on the defence that they should be treated as prisoners of war as they were not paid mercenaries but bonafide soldiers of a legal government, the Provisional Government of Free India, or the Arzi Hukumate Azad Hind, "however misinformed or otherwise they had been in their notion of patriotic duty towards their country" and as such they recognized the free Indian state as their sovereign and not the British sovereign. The New Year's Eve December 31, 1945 was the last day of trial. The trial marked a significant turning point in India’s struggle for Independence and Col. Raja Habib Ur Rahman Khan along with his three colleagues Col. Prem Kumar Sahgal, Col. Dhillon and Maj. Gen. Shah Nawaz Khan became symbol of India fighting for freedom. The verdict of trial came on January 1, 1946. All four were found guilty of waging war against the King Emperor. Having found the accused guilty of the charge of waging war, the court was bound to sentence the accused either to death or to deportation for life. No finding or sentence by court-martial is complete until confirmed by the Commander-in-Chief. Commander-in-Chief Auchinleck, taking into consideration the prevailing circumstances decided to treat all four accused in the same way in the matter of sentence, and decided to remit the sentences of deportation of life against all of the three accused, and they were later released. The incidence of release the Four members of the INA was of momentous significance at national level. The unprecedented publicity in the national papers and the media during the proceedings of trial enhanced the credibility and legitimacy of the freedom struggle launched by Indian National Army. On the following day of the release, January 4, 1946 the whole of Delhi and its neighbourhood had gathered to participate the rally never organized in the history of Delhi. After Independence Quaid-i-Azam was delighted with that Raja Habib ur Rahman Khan joining the government service and advised him in writing to visit and report about the current situation of the state of Jammu and Kashmir in Srinagar. Following this request he went to visit the Chief Minister of Jammu & Kashmir Ram Chandra Kak and Maharaja Hari Singh to better understand their views on the State of Jammu & Kashmir joining with Pakistan in accordance with the wishes of the people, as laid out in the British proposal for post-Independence India and Pakistan. In 1947 it was clear that an alternative plan was needed to liberate Kashmir. Raja Habib ur Rahman Khan tried his best to organise all of the ex-army people for the Liberation of the Jammu and Kashmir. Raja Habib ur Rahman Khan led many battles against the Dogra forces, particularly in Bhimber and Kotli.Under the leadership of Raja Habib ur Rahman Khan the Muslims of Bhimber rose against the Dogra rulers and liberated Bhimber.War of Independence. Following the Indo-Pakistani War of 1947, Raja Habib ur Rahman Khan chose to settle in Pakistan and joined the Central Superior Services of Pakistan, Deputy Commissioner Bannu, Chief Administrator Northern Area Gilgit-Baltistan , Additional Defence Secretary Govt of Pakistan, & Member Azad Kashmir Council. In 1956, the government constituted a committee to look into the circumstances around Subhash Chandra Bose's death. Major General, Shah Nawaz Khan, headed the committee, whose members included Suresh Chandra Bose. The Committee began its work in April 1956 and concluded four months later when all three members of the Committee signed a paper that stated that Netaji indeed died in the aeroplane crash at Taihoku (Japanese for Taipei) in Formosa (now Taiwan), on August 18, 1945. They stated that his ashes were kept in Japan's Renkoji Temple and should be reinstated to India. 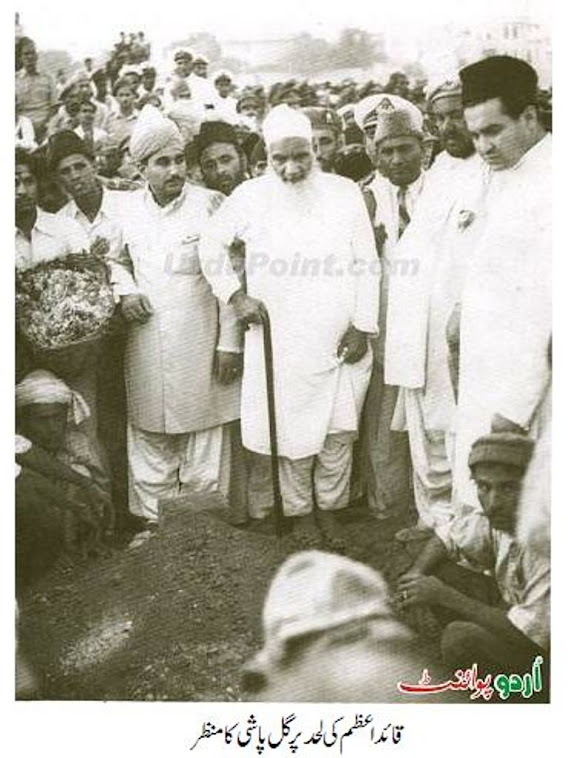 Raja Habib ur Rahman Khan died and was buried on 26 December 1978 in his ancestral village Panjeri , Bhimber Azad Kashmir. Raja Habib ur Rahman Khan was married to Badshah Begum daughter of his uncle Raja Muhammad Sarwar Khan. Raja Habib ur Rahman Khan left behind one son and one daughter, Raja Naeem ur Rehman Khan (1941–1996) and ''''''''''Dr.Ghazala Rashed''. She is happily married with two daughters and two sons, Nida, Dawar, Arish and Nishey. Raja Naeem ur Rahman Khan has two daughters and one son Moiza Naeem Khan, Tania Naeem Khan & Raja Zahir Naeem Khan. 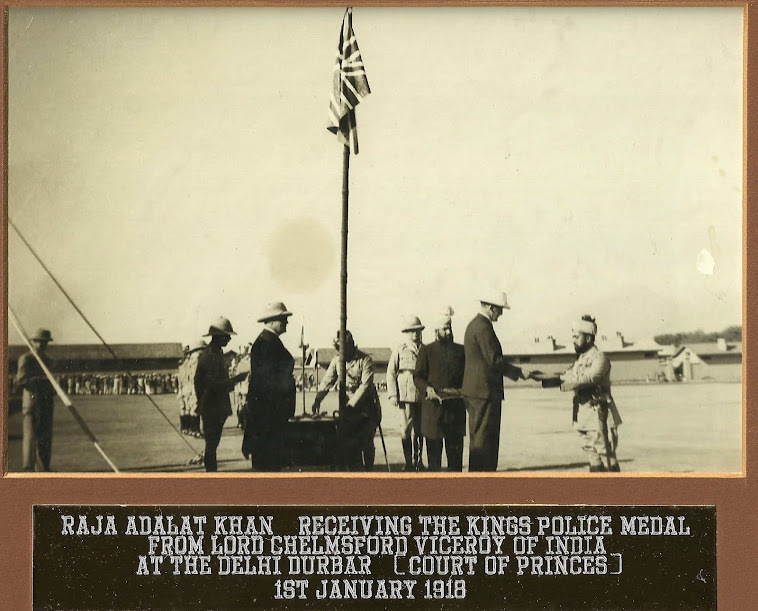 Raja MOHAMMED YAR KHAN (AIG Police ®), the eldest son of Tehsildar Raja Musahab Khan joined British Indian Police Service as First Sergeant in 1925 at the age of fifteen. Due to his outstanding performance and hardwork he promoted to the rank of DSP in 1950. 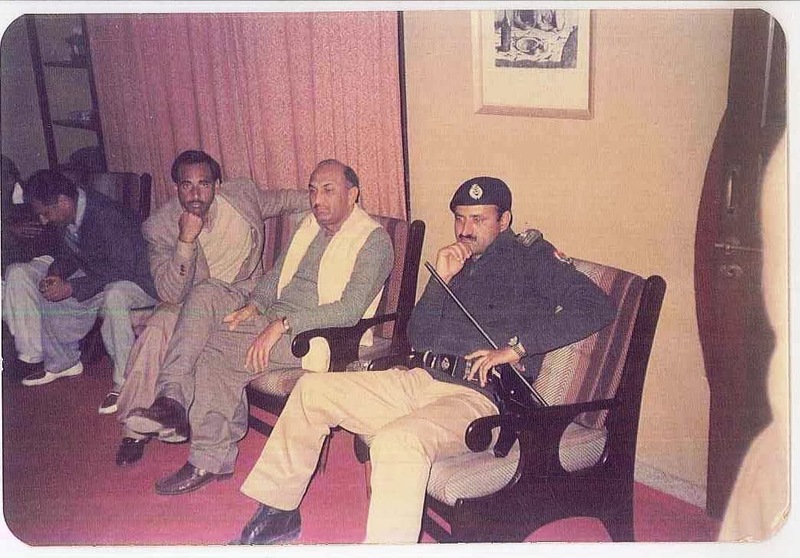 In 1958he served as SP Dadu and Later SP Jhang and retired as Assistant Inspector General Of Police AJK in 1967. During his service he was awarded Quaid-I-Azam Police Medal due to his remarkable services to the Police department. Col ® MOHAMMED SAKHI RAJA, the second son of Raja Adalat Khan used to be the center forward player of National Indian Football team and was working as civilian officer in ordnance branch of British Indian Army. He fought World War II and received recognition from British. He took commission in British Indian Army in ordinance branch in 1945. (Was the first commissioned officer of the family in British times). Later on his request he was transferred to the infantry (4th battalion of FF regiment). After partition Capt. Mohammed Sakhi had the honor to be the Protocol officer to Governor General Quaid-I-Azam Mohammed Ali Jinnah when visited Peshawar garrison. In 1962 at the rank of Lt.Col, he was seconded to Muscat Oman as Commandant Dhofar Force. 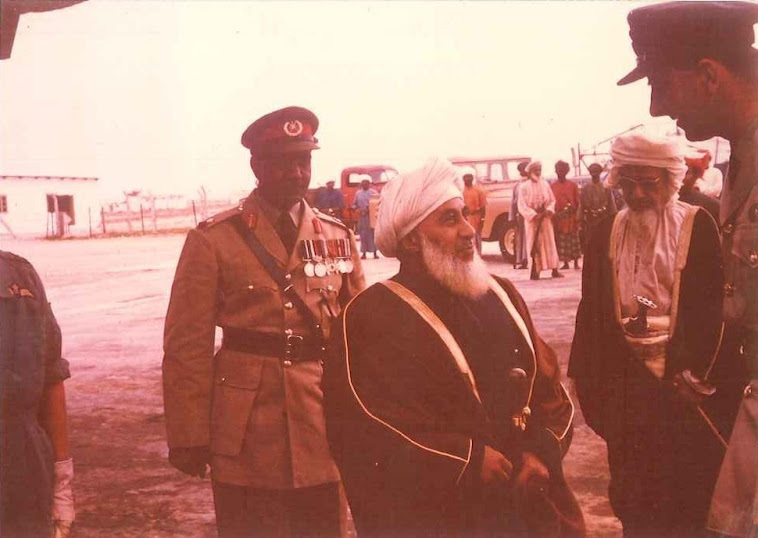 In those times the armed forces of Oman was comprised of three independent commands. Sultan Armed Forces (SAF), Dohfar Force (DF) and Royal Air Force (RAF) headed by three independent Commandants directly reporting to Sultan Syed Bin Taimur of Oman. Dohfar Force was meant for the defence of Dhofar province and guarding the Sultan’s Royal Palaces in Salalah. The unorganized and untrained DF was reconstructed and realigned by Col Sakhi and made this force just like Pakistan Army in terms of discipline and professionalism .He inducted the American Ferrites (Armored Cars) in the force. On 26 April 1966, there was an assassination attempt on Sultan by the rebellion element in the force. Col Sakhi Raja saved Sultan’s life on his life risk and got seriously wounded. He received Sitara-I- Bisalat from Pakistan Government, the highest gallantry award during peacetime. Maj Raja Sanaullah (late) was the decendent of Raja Ali Ghyas Khan (Eldest son of Raja Mal Khan -Jageerdar-e-Aala of Bhimber Raikee).The details of Bhimber Raikee are mentioned in Chapter 6. THe tranferable Sardari system continued in Raja Ali Ghyas Khan's decendants and dastar tarnsfered from genertaions to generatons. The person eligible for Dastar should be the eldest son. Maj Sanaullah the eldest son of the Rai of Thutha Rai Bahadur was the Rai of Thutha and after his death the Rai ship transfered to his eldest son Col Raja Parez Masood Akhtar. 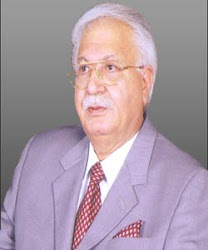 Raja Zulqarnain Khan took oath as President of Azad Jammu & Kashmir on August 2006. Born on March 15, 1936 at Gujrat, he belongs to a distinguished family. He received his early education at Srinagar and New Delhi. After Senior Cambridge in 1951 from Aitcheson College Lahore, he graduated with honours from Government College Lahore. His father, Khan Bahadar Raja Afzal, graduated from Prince of Wales College Jammu and did his M.A., LL.B from Aligarh College Allahabad University. After completing education he was selected in British Civil service. When Galency Commission Report was submitted Raja Afzal was deputed as Governor Jammu to cater for the concerns depicted in the Report. He held the office of Governor as well as Home Education and Revenue Minister of pre-independent Jammu & Kashmir during 1930-1941. Later, he remained Deputy Commissioner Mian Wali, Multan, Gujranwala and Sialkot. On the historical partition day being a Deputy Commissioner of Sialkot his house was honoured by Pakistani Flag which was hoisted by the only son of Raja Afzal Khan, the young Raja Zulqarnain Khan. He retired as Settlement Commissioner Lahore in 1952. While, his father was on frequent postings, Raja Zulqarnain Khan remained busy in his education. He completed his Cambridge studies from Atchison College Lahore. He then joined F.C. College Lahore. He was student of LL.B. in Law College when he received his first shock of life when his father, who was very loving and carrying towards his only Son, died just five years after his retirement. In 1957, Raja Zulqarnain Khan the brilliant student of Justice Nasim Hassan Shah and after doing his FEL suddenly transformed from a young student to a responsible man of his family. First independent decision was to quit the studies and join some business to meet his family and all dependents, expenditures and requirements. 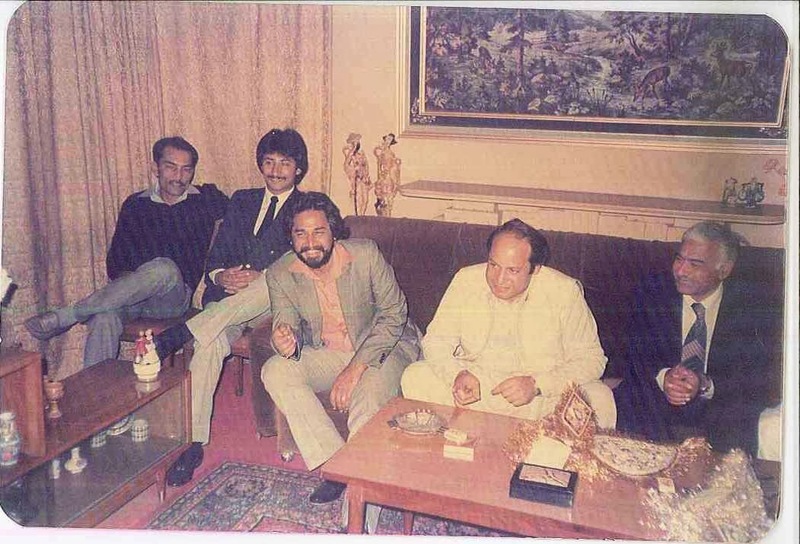 During that period Raja Afzal’s son remained active companion of his father and groomed as antiquated social and political worker. 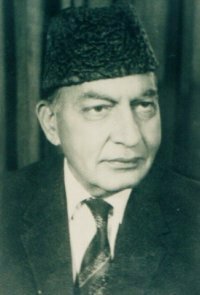 In 1960-61 Raja Zulqarnain Khan started his formal political career as General Secretary of the Kashmir Liberation League. 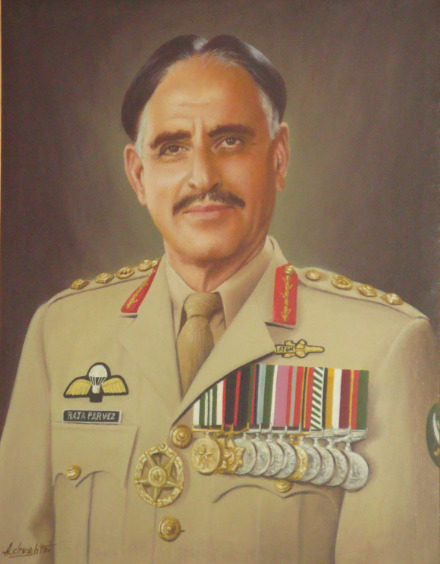 In 1969, he served as Minister with President of Azad Jammu & Kashmir Major General (R) Abdul Rehman in his three members Cabinet. In 1975, he was elected as Member AJ&K Legislative Assembly from Samahni constituency (Mirpur) presently in District Bhimber. 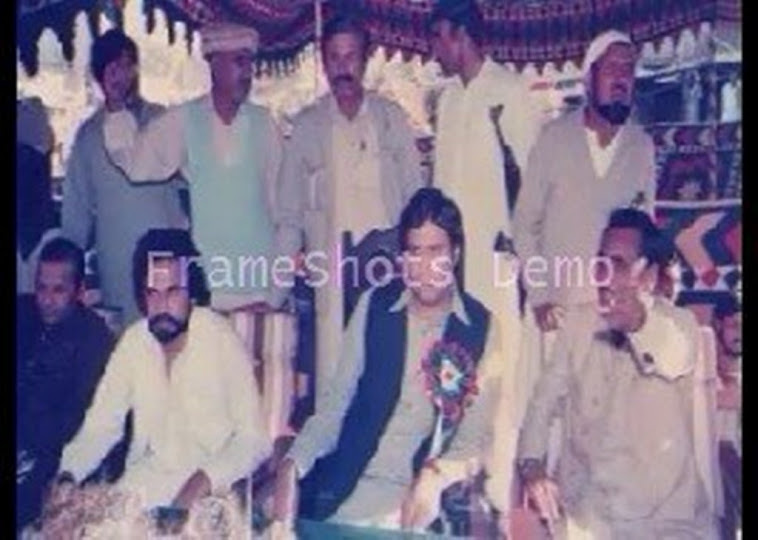 In 1985, Raja Zulqarnain Khan again became member AJ&K Assembly as Minister for Finance, Revenue, Planning & Development and Health with the Prime Minister Sardar Sikandar Hayat Khan. In 1991, third time he was elected as Member AJ&K Assembly and became a member of Sardar Abdul Qayyum Khan’s Cabinet as Minister for Finance and Planning & Development. From 1966 to July 2001, he served as Member of AJ&K Council and Advisor to the Chairman AJ&K Council (the Prime Minister of Pakistan). As President of AJ&K he has extensively traveled to Europe and USA to raise the profile of Pakistan essential for the resolution of Kashmir issue in accordance with the UN Resolutions. Raja Zulqarnain Khan’s efforts in lobbying the parliamentarians, opinion makers and policy developers has not only won new friends to support Kashmir cause universally but also helped to improve the image of Pakistanis/Kashmiris living abroad. He is admired by the British and European politicians for his principled stand and active support in electing candidates to the respective Parliaments by persuading the voters of Pakistani/Kashmiri origin to vote for the candidates sincere to Kashmir Cause. He is also seen as a symbol of national unity. At home he takes active interest in the State’s development in all areas. Establishment of Mirpur University of Science and Technology and enhancement of other educational & community welfare projects speak for his vision meeting the challenges of the 21st century. His Excellency, possesses vast knowledge of Jammu & Kashmir History and is fully acquainted with background of the dispute. National Defense University Islamabad, National Institute of Management, Civil Services Academy and other institutions of strategic studies proudly invite His Excellency as guest speaker to speak on the issues of national importance, particularly on Kashmir Issue. His Excellency has firm conviction that merit based approach, honesty, professional commitment and dedication amongst the public functionaries are the only parameters which can lead a State towards good governance and achievement of targets in development sector. Believes that just and equitable resolution of dispute of Jammu & Kashmir rests in true implementation of UNCIP Resolutions, those ask for right of self-determination and plebiscite to the people of Jammu & Kashmir. His Excellency, firmly resolved that only a stable and strong Pakistan can give guarantee for just resolution of dispute of Jammu & Kashmir in accordance with the wishes of the people of Jammu and Kashmir and has strong conviction that Kashmir is the jugular vein of Pakistan. 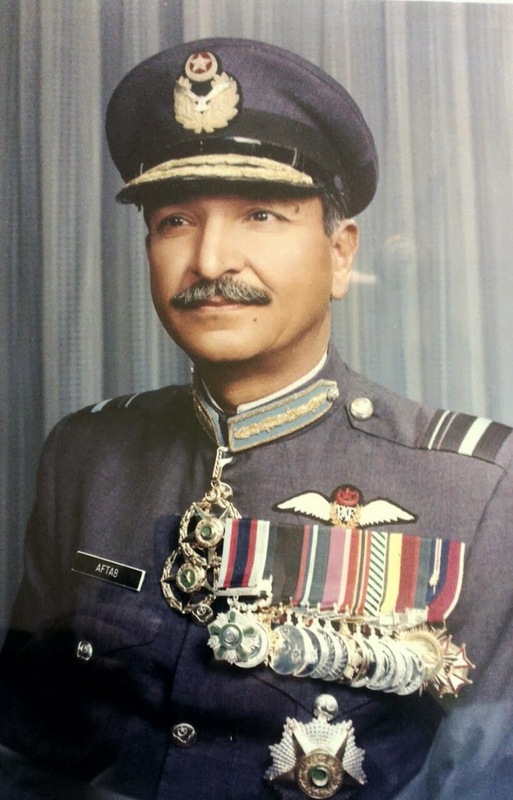 Air Vice Marshal (Retired) Raja Aftab Iqbal Hilal e Imtiaz (Military), Sitar e Imtiaz (Military), Wassam e Shujaat (Arab-Israel War)(equal to Sitar e Jurat), Tamgha e Bisalat. These are a few of the 18 medals decorated on his chest at the time of his retirement from PAF in 1993. 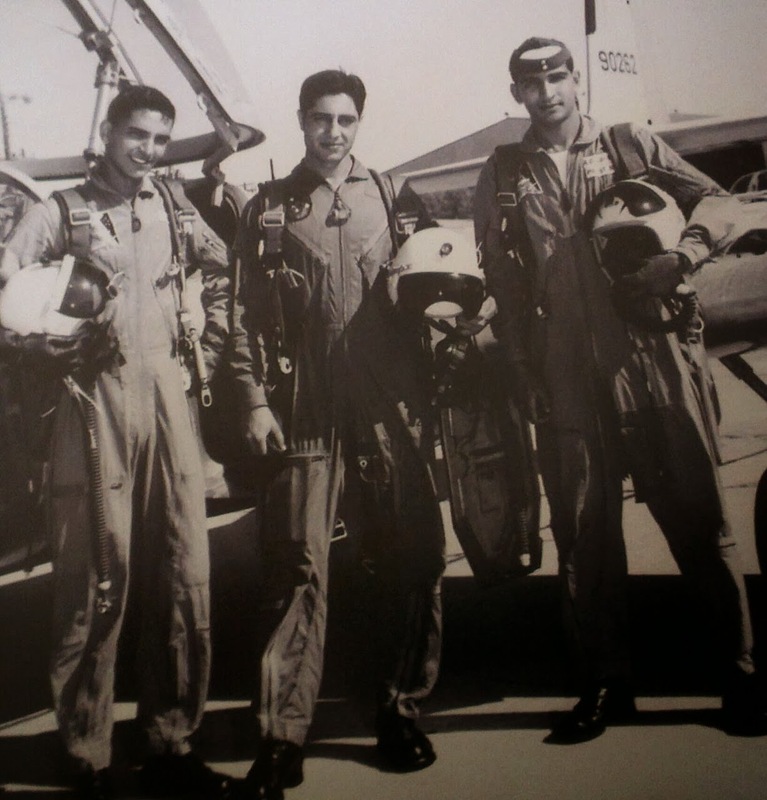 He was selected as a cadet from PAF Accademy Risalpur and subsequently passed out with colours from United States Air Force Accademy and was commisioned in PAF in 1961.He has actively and bravely participated in 1965, 1971 and 1973(Arab Israel) wars. As the best cadets from Pakistan Military Accademy Kakul get selected for training from Sandhurst Great Britain similarly the best Air Force Cadets get to train in the USA. Prior to joining the PAF, AVM Raja Aftab Iqbal was the Headboy of the esteemed PAF College Sargodha where some of his records still stand strong till date. To the best of my knowledge, he is the first Chibb Rajput to rise to the rank of AVM (in 1987) followed by the much respected AVM Raja Tariq Mehmood. AVM Aftab Raja has a great deal to his credit and honour and he hails from the Village Thutha Rai Bahadur. 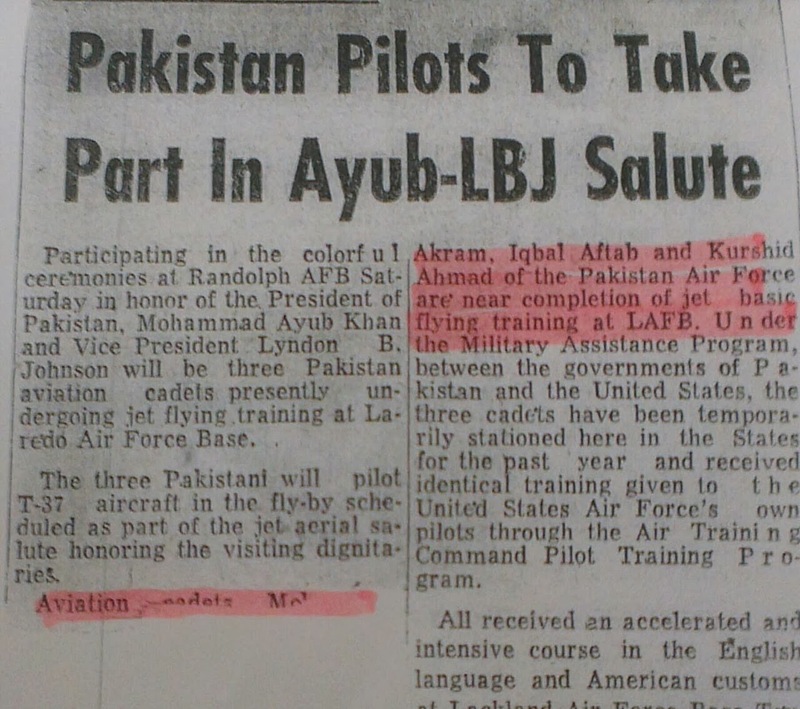 Some photographs of his Cadet days when he was undergoing training at Laredo Air Base, Texas, USA...President Ayub Khan was to visit USA and Vice President Lindon B Johnson (later president), was to hold a grand airshow in his honour. Aviation Cadets Ehtesham Akram, Aftab Raja and Khurshid Ahmed had also participated in the show. The photo's and the newspaper cuttings are all from a USA National Newspaper. 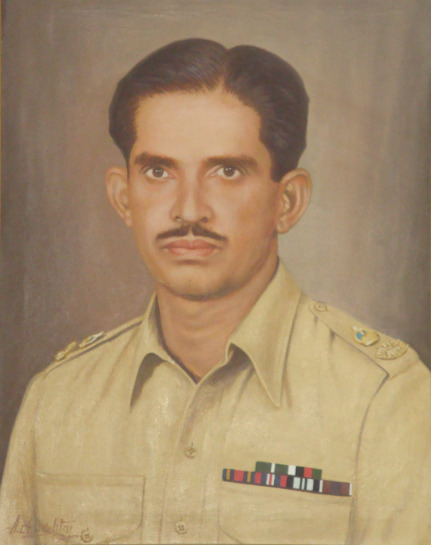 Air Vice Marshal® RAJA TARIQ MEHMOOD took commission in Pakistan Air force in 1971. He used to consider as one of the best Aeronautical Engineer of PAF. He is the one who implemented ISO9000 in PAC Kamra. As SQN.LDR he was seconded to Saudi Arabia and received recognitions from Saudi govt on his outstanding performance. 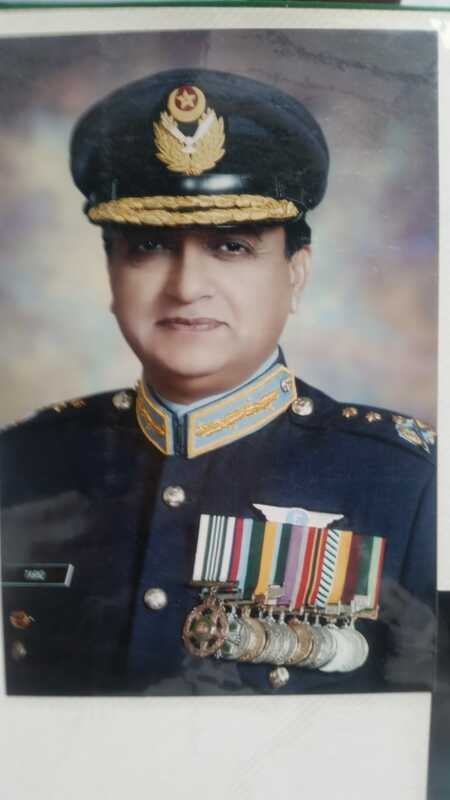 He received Tamgha-I-Bisalat and Tamgha-I-Imtiaz Military from President of Pakistan.He served on various key appointments like OC Engg, Managing Director Mairaj Re-build Factory ,and Director General Air Weapon Complex-Wah and recently retired as Member NESCOM and CEO Global Industrial Defence Solutions. 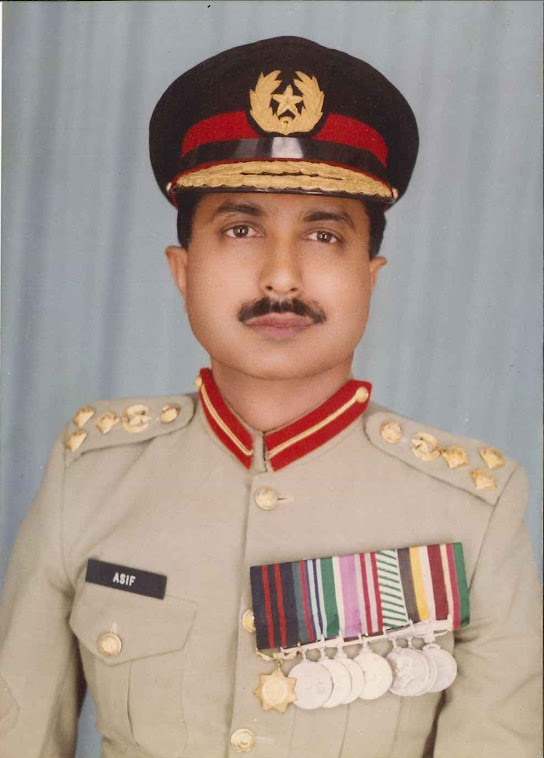 Brig Raja Asif Haroon is Command & Staff College and Armed Forces War Course qualified and holds MSc War Studies degree from Quaid-Azam University. He fought epic battle of Hilli in former East Pakistan during 1971 War. He served as Brigade Major, Directing Staff Command & Staff College, GSOI Operations, Defense Attaché Egypt and Sudan and Dean of Corps of Military Attaches in Cairo. He served as Director Psychological Operations, commanded North Zone NLC and National Guards Sector. After his retirement he served as Director Education & Training in Kahuta Research Laboratories. He was awarded Sitara-Imtiaz (Military) for his meritorious services in the Army. He remained Honorary Colonel of 34 FF for 8 years. He is author of books titled ‘Battle of Hilli’, ‘1948, 1965 & 1971 Kashmir Battles and Freedom Struggle’, ‘Muhammad bin Qasim to Gen Musharraf’, Roots of 1971 Tragedy’, and ‘Tangled Knot of Kashmir’ . He is a defense analyst/ columnist, and writes articles on security, defense and political matters for numerous international and national publications. He is member Executive Committee PESS, Director MEASAC Research Centre. Brig. FARRUKH JAMAL RAJA took commission in 7FF Regiment of Pakistan Army in 1983. Besides other courses, he graduated from Command and Staff College Quetta, qualified Foreign War Course from China and Armed Forces War Course from National Defence University, Islamabad. He served on the best appointments on every rank like 2 x UN missions for operations in Somalia and Ethiopia, ADC to General Officer,instructor School of Infantry and Tactics, Staff Officer to Military Secretary GHQ, Brigade Major of Infantry Brigade in War Zone in glaciated terrain across Himalayas, Grade 2 Operations in Military Operations Directorate GHQ, Commanding Officer of Mechanised Infantry Battalion, Grade 1 Operations in an Infantry Division, Director Inter Services Intelligence ISI , Commander Infantry Brigade in War Zone in South Waziristan ,Sector Commander Punjab Rangers , Deputy Director General Inter Services Intelligence, ISI etc. 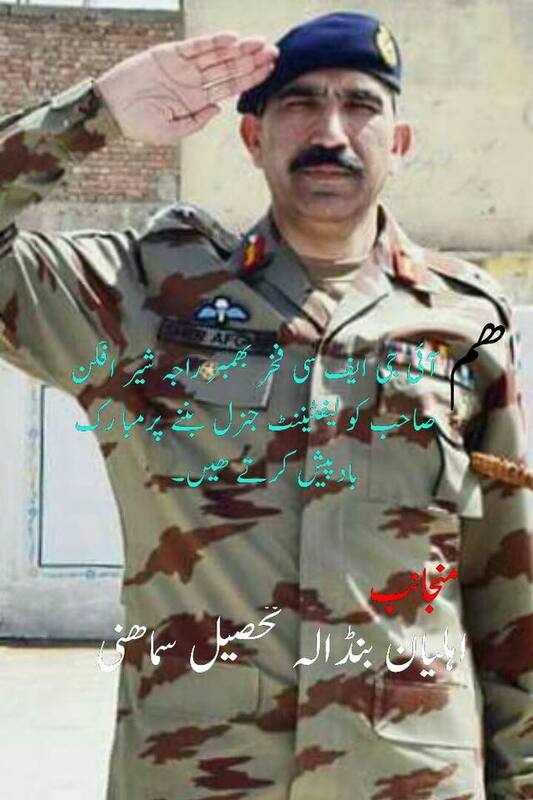 He is currently posted in Corps HQ Multan. Col(Retd) Raja Parvez Masood Aktar is the eldest son of Rai of Thutha Rai Bahadur Maj Raja Sanaullah Khan .After his Father's death he became the Rai of Thutha Rai Bahadur. 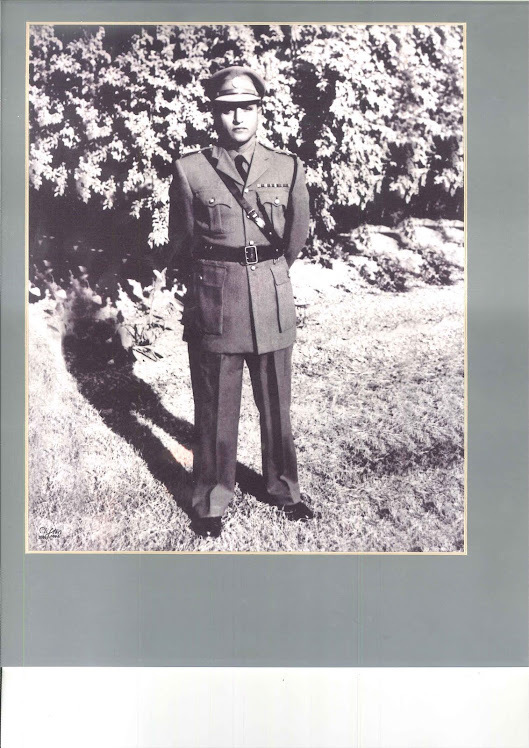 Col Raja Parvez got commissioned in 3 FF regument of Pakistan Army in early 60s. He served various appointmets like DQ, CO Infantry BN ,CO ATGM BN etc. He got the hounour to do PARA course at rank of Lt.Col. 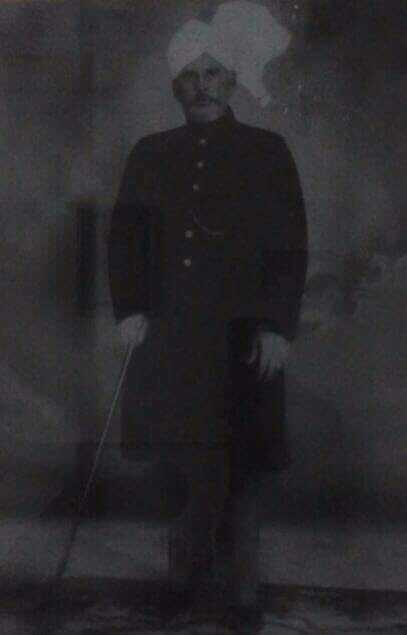 He reached upto the rank of full colonel and after retirement shifted permenantly to Lahore. Married 1968 Maharani Shrimati Chandresh Kumari of Jodhpur and has issue..
• Tikkaraj AISHWARIYA CHAND KATOCH, married about 1997 Tikkarani Shailaja Kumari of Sailana, and has issue. • 455. Raja MEGH CHAND 1390/1405, fought against Timur, married and had issue. Raja PRATAP CHAND, founder of Bhimbar. o	Raja ROPU KHAN III. Raja Shadab Khan also called as Shadi Khan participated in 72 expeditions of Emperor Humayun.alo got married with the niece of Emperor Humayun and daughter of Pir Haybat Khan Kandhari.She was his third wife. He served as Governor of Kandhar and later Nazim of Kashmir. In old age he took retirement, left his Muslim Afghan wife and children and came back to his home and took over the Kingship of Bhimber state from his elder son. Then he started preaching of Islam in his state starting from his own Palace. The descendants of Raja Shadab/Shadi Khan from his Muslim Afghan wife are settled in Delhi in the area “Mahalla Shadi Khel”. Shahadat of Raja Shadab Khan (Version No.1). After a long period staying with his Muslim wife in Delhi, Raja Shadab got the message from his beloved Hindu Rani Thakyaal to come back to country Chibbhal (Bhimbar). Raja Shadab left Delhi and his Muslim wife and children and ran towards Bhimbar.When his father in law Pir Haybat Khan who was the Army Chief in humayun’s army, came to know that, took permission from Humayun and chased Raja Shadab with heavy contingent of force. Near Bhimbar there is a place called DHAKKI, Pir Hayabat intercepted Raja Shadab.and after an encounter both Pir Hayabat and Raja Shadab got killed, and the platoon of Pir Haybat escaped from the place leaving the dead body of there General behind. 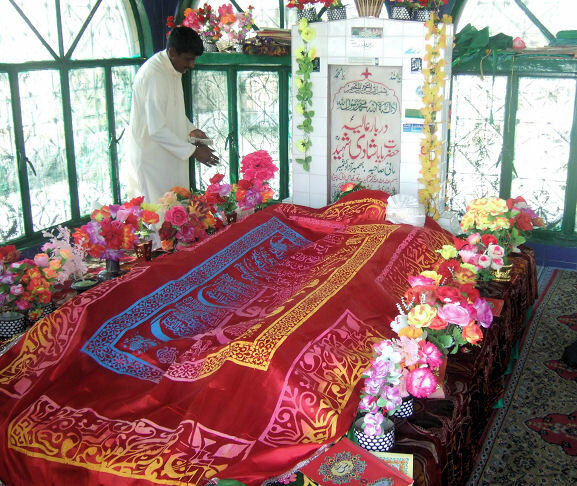 The tomb by the name of Hazrat Baba Shadi Shaheed was constructed at the same very place he got killed. The horse of Pir Haybat Khan took along his dead body from Bhimbar to Kharian and then the village Puran –Saraialamgir. Now there is Tomb o Pir Haybat Khan kandhari is present there. Version No 2: When Raja Shadab Khan came back to Bhimbar and started preaching Islam, his Hindu Cousin Raja Ghiggi Chand got annoyed and made alliance with Thakkyal and suddhan Hindu Rajputs in order to destroy Muslim Raj. In the middle of 16th century approximately 1557(during the tenure of Emperor Akbar) Raja Shadab Khan while traveling along with Royal convoy got ambushed by Raja Ghiggi Chand’s rebellion forces and mytered at place named DHAKKI. Now his shrine by the name of Hazrat Baba Shaadi Shaheed still exists there and thousands of people visit the Darbar for Hazri. After killing Raja Shadab, Raja Ghiggi Chand tried to take over the Rajdhani of the state, but Raja Shadab’s sons, Raja Bhoom and Raja Mal retaliated and defeated Hindus and continued the Muslim Raj in Bhimber. o Raja ALI GHYAS KHAN became the next Rai and received the TALUQDARI of 84 villages from his father. His descendents shifted to the new place known as THUTHA RAI BAHADUR. Now the present RAI of THUTHA RAI BAHADUR is Col ® Raja Parvez Masood Akhtar. o Raja JAISAK KHAN, received the SARDARI of 22 villages and the Title of KHAN SAHAB These villages were Bessa Kalan, Bessa Khurd, Panjairee, Kalari, Sahailer, Khadura, Toneen Raikee, Toneen Rajani, Pind Rehman Pur, Pind Aziz, Ghazi Gorha, Bhalwal bala, Bhalwal zeereen and Baowlee. o Raja TAHWAR KHAN received the SARDARI of 22 villages and the Title of KHAN SAHAB. These villages were Dora, Pir Khan, Sheikh Pur, Bakohal Chibban, Thal, Daak, Khal Khan Pur, Samli, Malik pur, Seerla, and Chowkee Bandi. 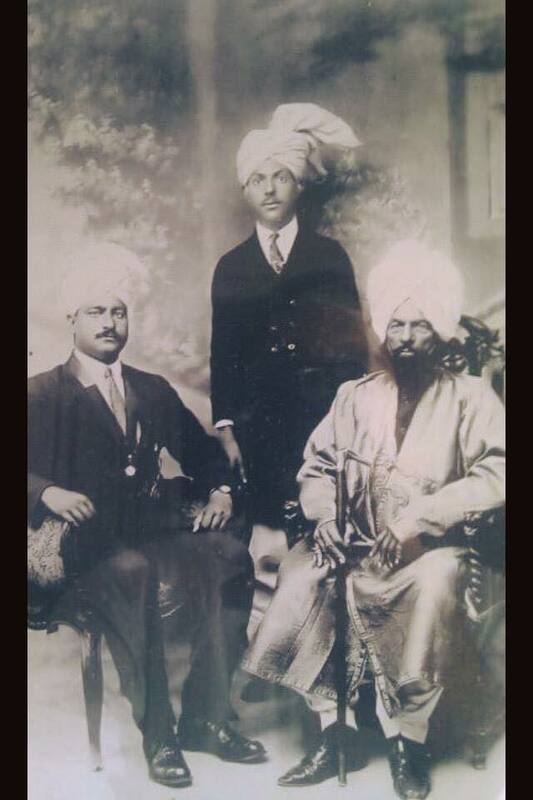 SHORT HISTORY Raja Darbar Khan the youngest son of Raja Mal Khan (Rai of Bhimber Raikee) was given SARDARI of a mandi (comprising of 22 villages in Sara-I-Alamagir) These Villages includes Khambi, Qaleejpur, Puran, Belaspur, Khanpur, Dhangrote, Kasteela, Mohri, Bahrote, Sadwaal etc. Later the SARDARI systems became ineffective due to the Royal pressures. Therefore the 11 villages were taken back from the descendents of Raja Darbar Khan and remaining 12 villages were in the custody of Darbesaal Chib Rajputs because Raja Darbar Khan developed these villages. • 3. Raja GAMOON KHAN married and had issue. SHORT HISTORY: Raja Qadardad Khan, approx. the ninth generation of Raja Darbar Khan and the fourth son of Raja Sarfarz Khan inherited a village named KHAMBI. Raja Sarfarz Khan was the owner of five villages inherited from his father. After the death of Raja Sarfarz, these five villages were equally distributed among his five sons. In this way the RAJDHANI, RAI BAHADURI, SARDARI, JAGEERDARI and at last ZAMEENDARI of our ancestors came to an end. The BARI HAVELI of Raja Qadardad Khan of Khambi was divided into three portions. Therefore the sons of Raja Qadardad Khan were seriously thinking about the continuity of their turbans and survival as well. So they joined the services of BRTITISH RAJ and gained a lot of respect and honor. The details of the descendants of the above mentioned six brothers are as under. • I. Raja RUSTAM KHAN married and had issue. • IV. Raja MASAHAB KHAN, the fourth son of Raja Qadardad Khan of Khambi, joined British Indian Civil Services and retired as TEHSILDAR Charsada, NWFP.He married and had issue. o Raja ABDUL QAYYUM KHAN-settled in UK. 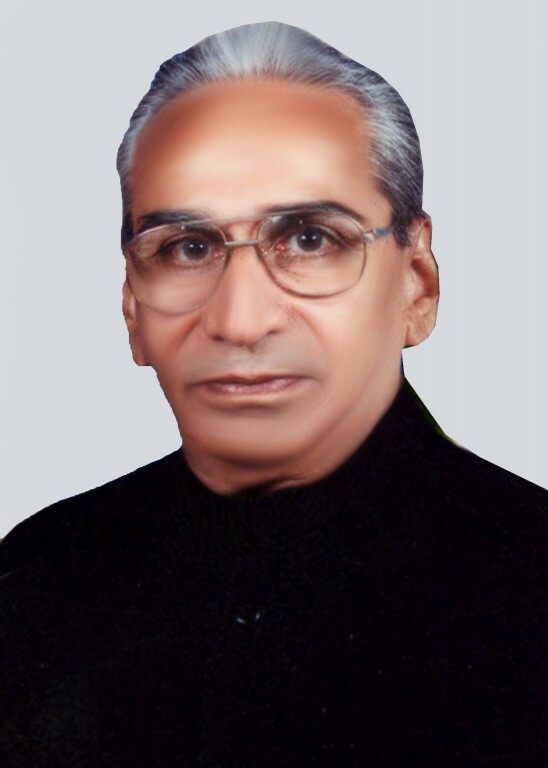 o Raja MOHAMMED RAFIQ KHAN- Director Veterinary ®. o Raja MOHAMMED YOUNUS –settled in UK . o Raja IFTIKHAR AHMED joined Pakistan Telecommunication Corporation Limited and retired as Member PTCL Board in Grade 21 in 2004. Recently retired as Managing Director Telecom Foundation Islamabad. He married and has issue. 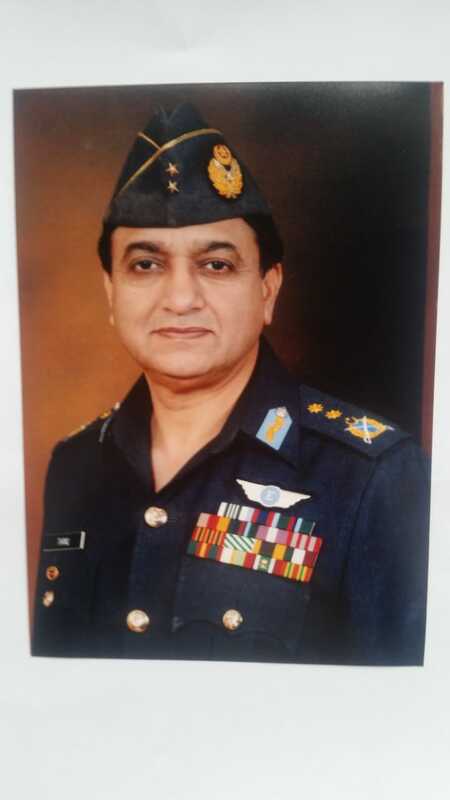 o Air Vice Marshal® RAJA TARIQ MEHMOOD took commission in Pakistan Air force in 1971. He used to consider as one of the best Aeronautical Engineer of PAF. He is the one who implemented ISO9000 in Air Force. As SQN.LDR he was seconded to Saudi Arabia and received several medals from Saudi govt on his outstanding performance. He received Tamgha-I-Bisalat and Tamgha-I-Imtiaz Military from President of Pakistan. He worked as Director General Air Weapon Complex-Wah and recently retired as CEO Global Industrial Defence Solutions and Member NESCOM. He married and has issue. • 2. Col ® MOHAMMED SAKHI RAJA, the second son of Raja Adalat Khan used to be the center forward player of National Indian Football team took commission in British Indian Army in ordinance branch in 1945. (Was the first commissioned officer of the family in British times). 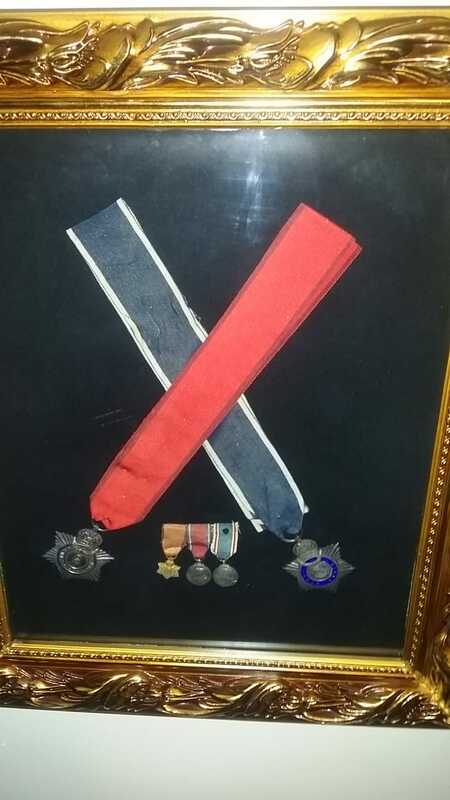 He fought World War II and took medals and rewards from British. Later on his request he was transferred to the infantry (4th battalion of FF regiment). After partition Capt. Mohammed Sakhi had the honor to be the Protocol officer to Governor General Quaid-I-Azam Mohammed Ali Jinnah when visited Peshawar garrison. In 1962 at the rank of Lt.Col, he was seconded to Muscat Oman as Commandant Dhofar Force. In those times the armed forces of Oman was comprised of three independent commands. Sultan Armed Forces (SAF), Dohfar Force (DF) and Royal Air Force (RAF) headed by three independent Commandants directly reporting to Sultan Syed Bin Taimur of Oman. Dohfar Force was meant for the defence of Dhofar province and guarding the Sultan’s Royal Palaces in Salalah. The unorganized and untrained DF was reconstructed and realigned by Col Sakhi and made this force just like Pakistan Army in terms of discipline and professionalism .He inducted the American Ferrites (Armored Cars) in the force. On 26 April 1966, there was an assassination attempt on Sultan by the rebellion element in the force. Col Sakhi Raja saved Sultan’s life on his life risk and got seriously wounded. He received Sitara-I- Bisalat from Pakistan Government, the highest award during peacetime. He married and has issue. o Raja NASIR AMIN; joined Pakistan International airline in late 70’s and currently he is a senior official in Pakistan International Airline and enjoying life with his wife and daughter Misbah. o Brig. 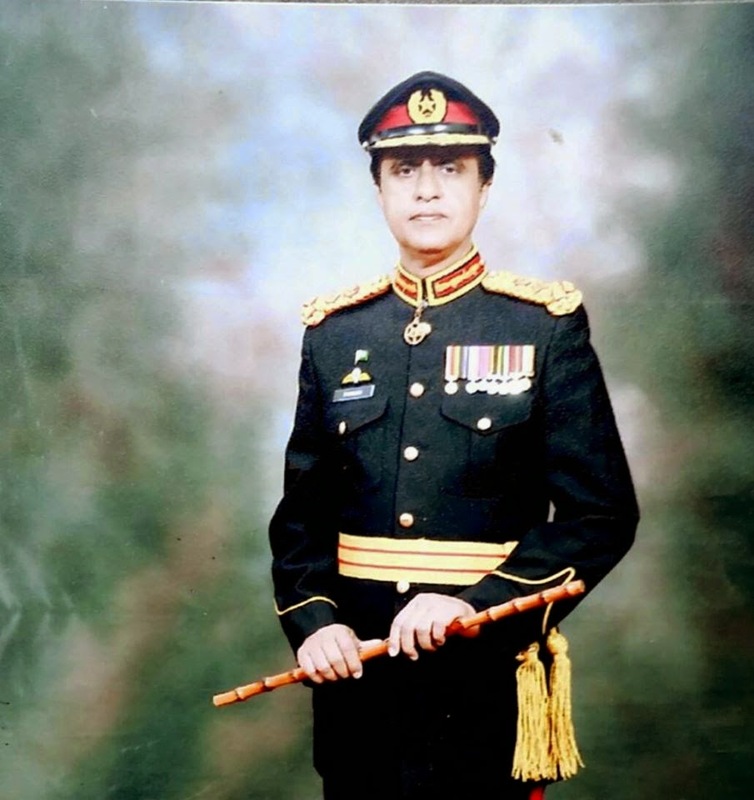 Raja FARRUKH JAMAL took commission in 7FF Regiment of Pakistan Army in 1983. He served on the best appointments on every rank like UN missions in Somalia, ADC to GOC, SO, BM, CO, Director ISI , Commander 14 Para Brigade etc. Currently he is Sector Commander Punjab Rangers in Lahore and enjoying life with his wife and two daughters Seenam & Javeria. • 4. Raja MOHAMMED SADIQ KHAN, the fourth son of Raja Adalat Khan settled in UK. He married and has issue. • 5. Raja MOHAMMED RAFIQ KHAN, the fifth son of Raja Adalat Khan retied as director veterinary, settled in Islamabad after retirement. Currently he is doing is own construction business He married and has issue. • 6. Raja MOHAMMED SALEEM KHAN, the sixth son of Raja Adalat Khan joined Pakistan Air force and finally settled in KHAMBI. Currently he is doing is own business in the village He married and has issue. • 7. Raja MOHAMMED YOUNUS KHAN, the seventh son of Raja Adalat Khan settled in UK. He married and has issue. • 6. Raja MOHAMMED KHALEEQ KHAN, the youngest son of Raja Adalat Khan married and has issue.